Oura castle (尾浦城) is built over Shiroyama hill, one of about 40 meter height from hillside in front of Takadate-yama mountain, which locates in the southwestern edge of Shonai basin. 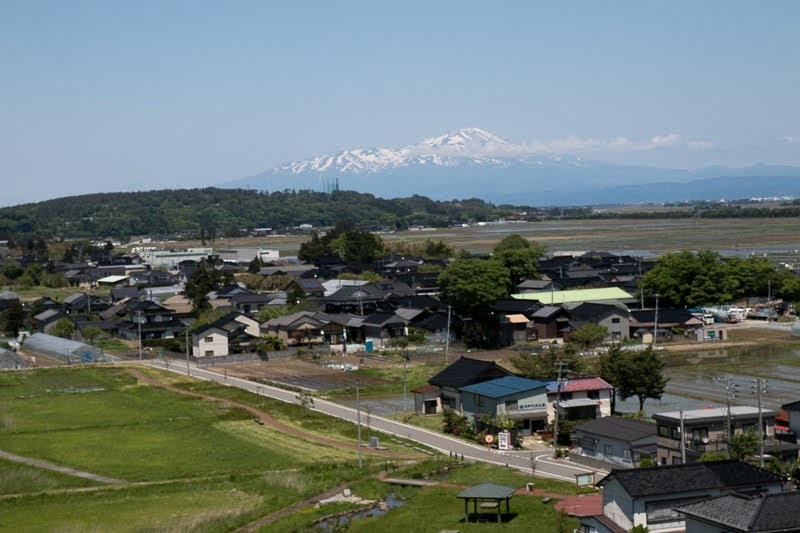 Shonai plain is a triangle shaped one of about 40 kilometer long spreads at the mouth of Mogami-gawa river, and known as a good rice cultivation field. 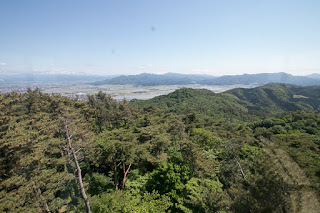 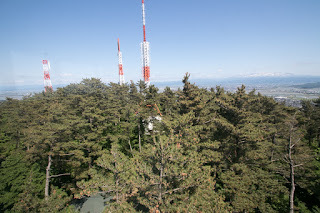 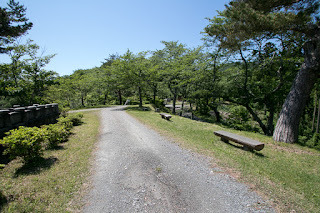 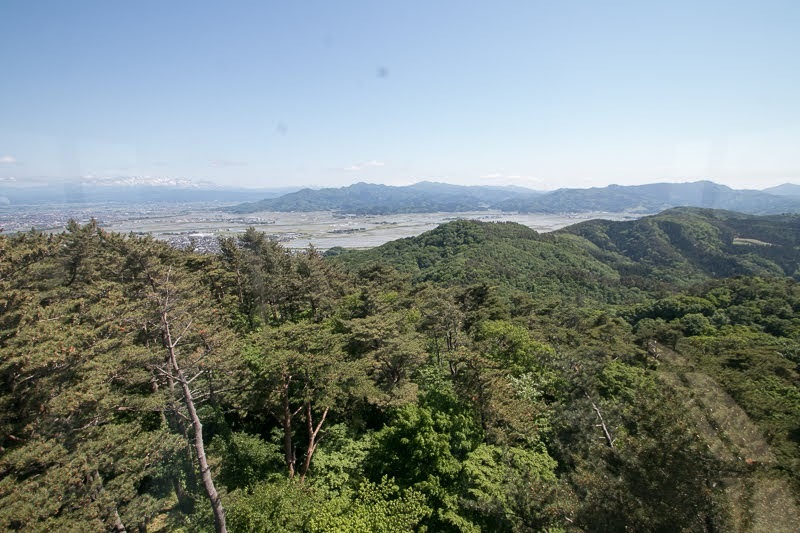 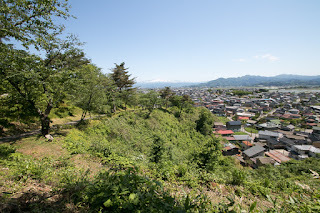 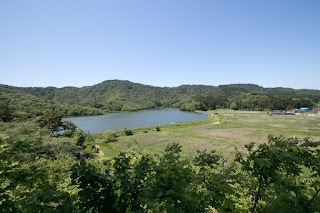 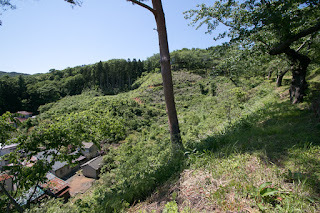 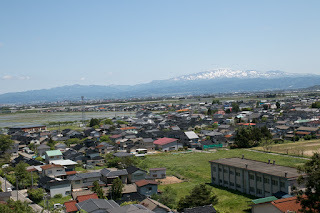 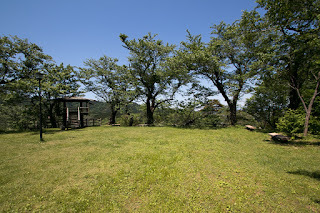 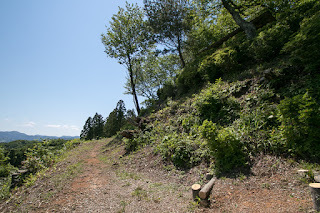 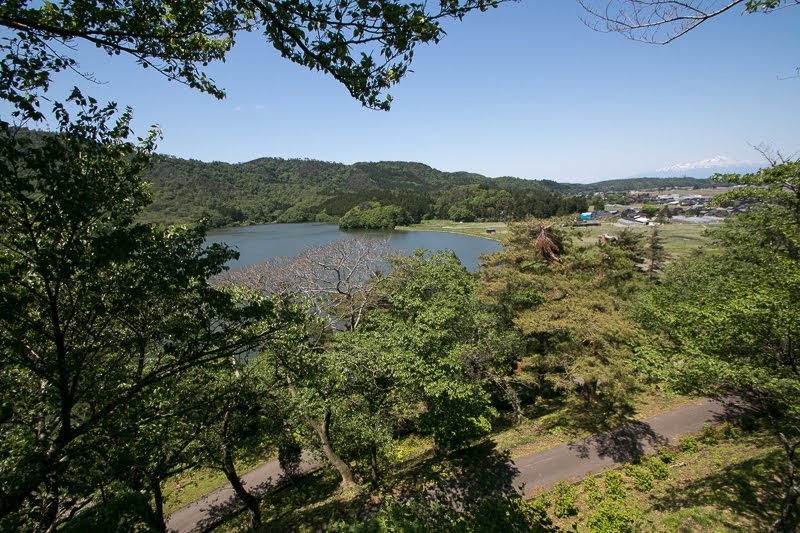 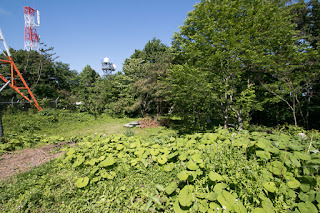 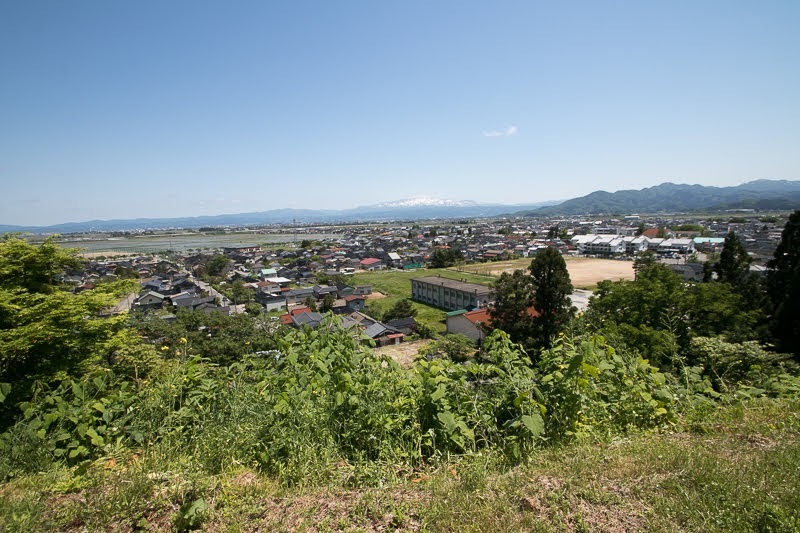 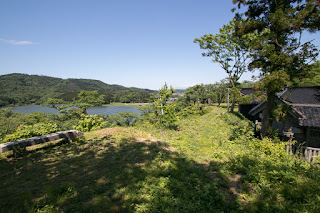 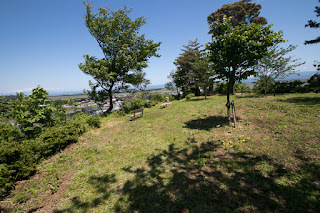 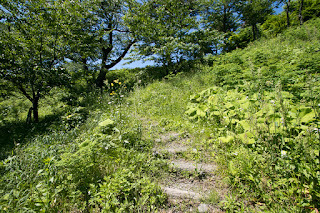 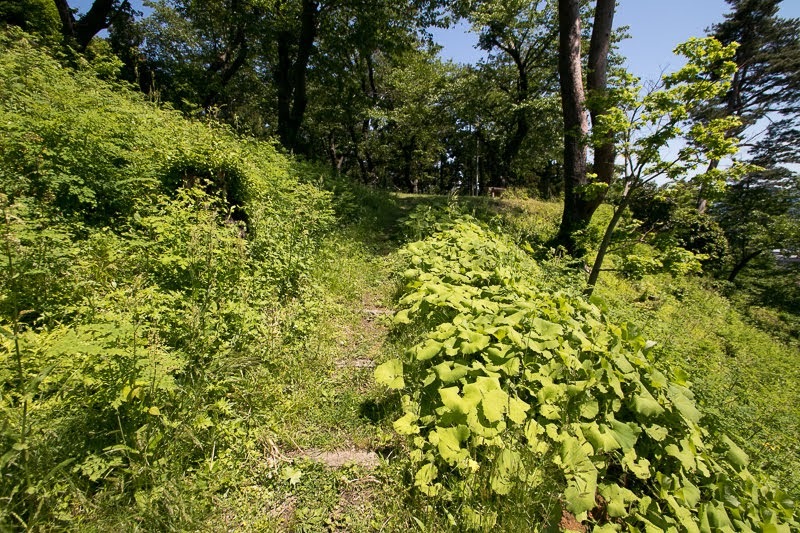 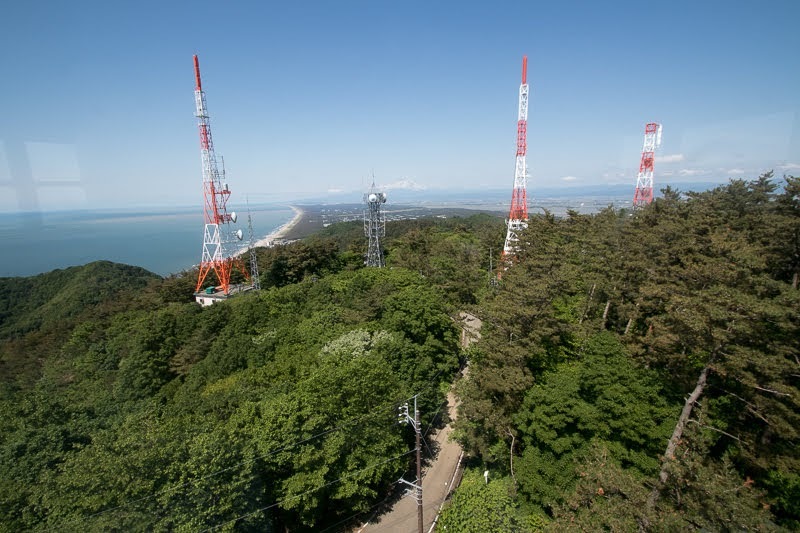 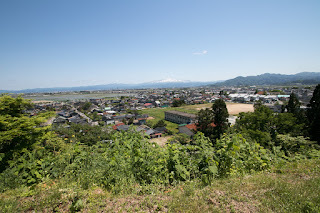 Shiroyama hill is a ridge prolonged from Takadate-yama mountain, and is protected its backside by two lakes and its front side by wetlands now turns into rice field. 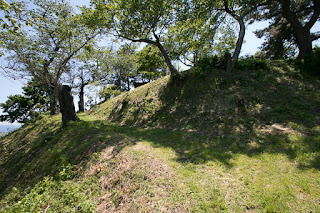 The castle stands at the root of long sand mouth continues toward north by Sakata port, and it was an appropriate place to defend itself and control the communication toward Sakata port. 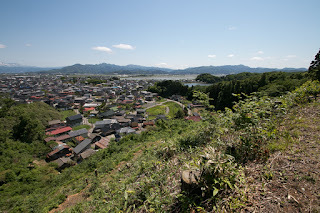 Sakata port is a traditional one opened in 13th century, and was one of major ports at the Sea of Japan. 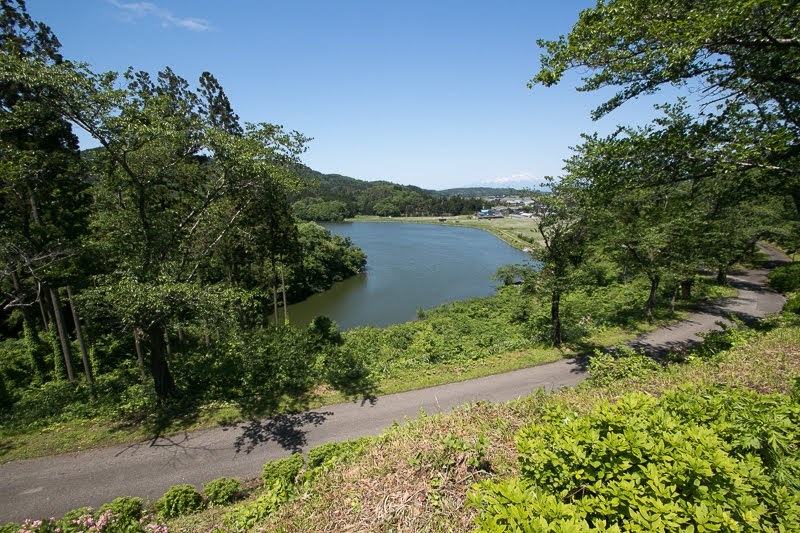 As Mogami-gawa river flows the center of Tohoku region and good access to Sendai area which was the most prosperous one of the region, Sakata port gathered and sent merchandises from and to vast area of Tohoku region. Oura castle was built by local lord Daihoji clan in the former half of 16th century, along with its backup fort Takadate castle at the top of Takadate-yama mountain. Daihoji clan was originally a descendant of central noble Fujiwara clan lived at Musashi province and at first had the surname of Muto clan. 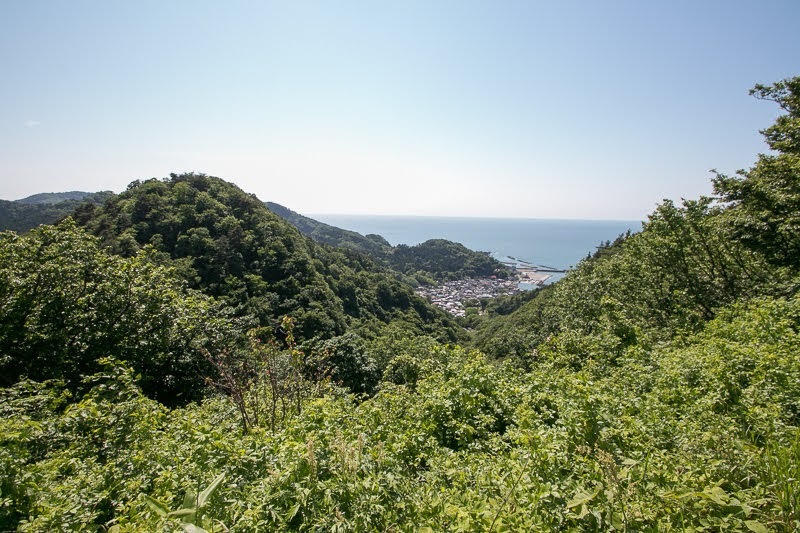 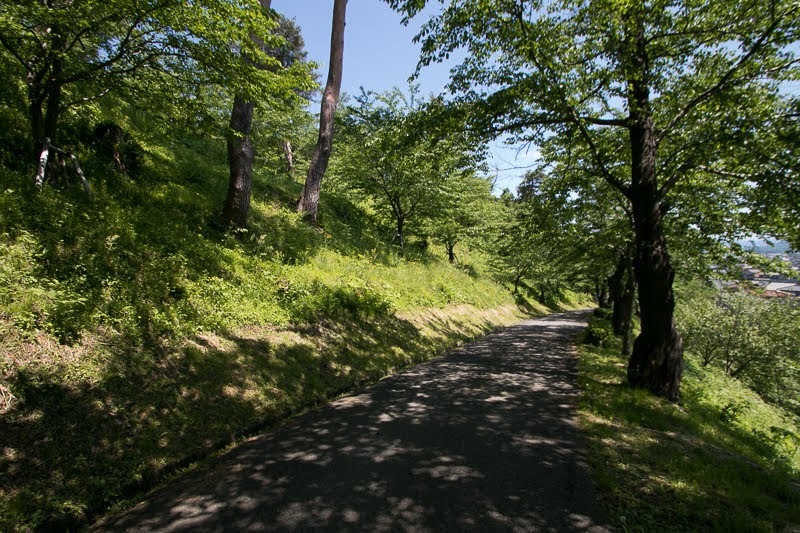 At the beginning of Kamakura period, Daihoji clan activated at the battle against Oshu Fujiwara clan which dominated north half of Tohoku region, and was given the territory at current Shonai plain. 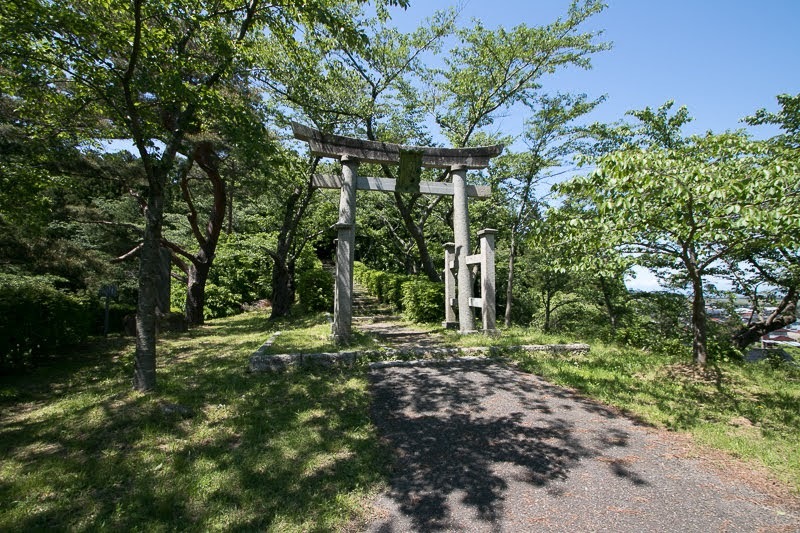 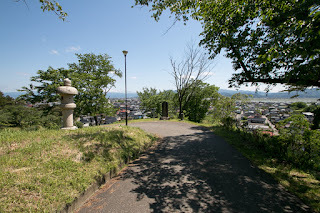 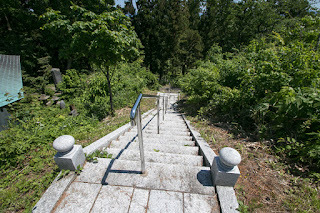 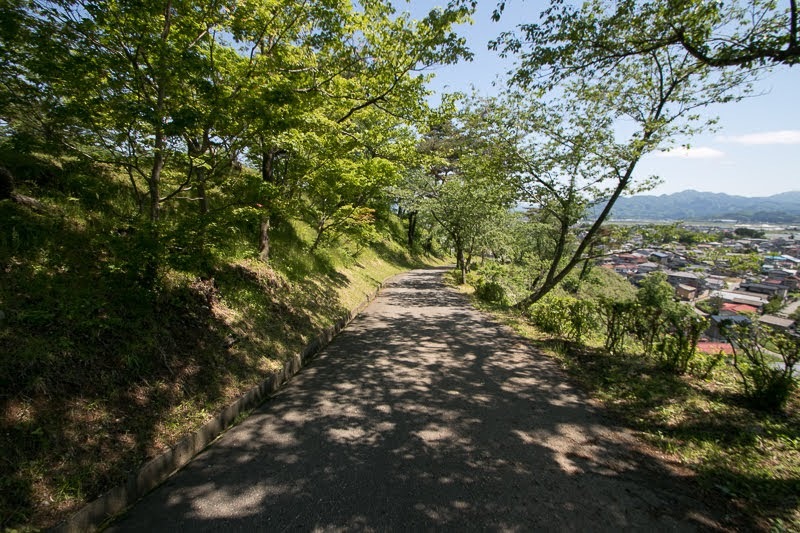 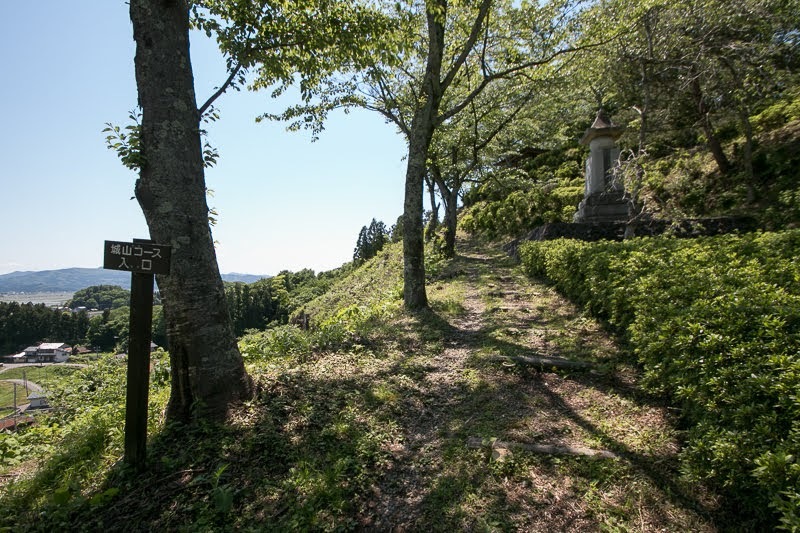 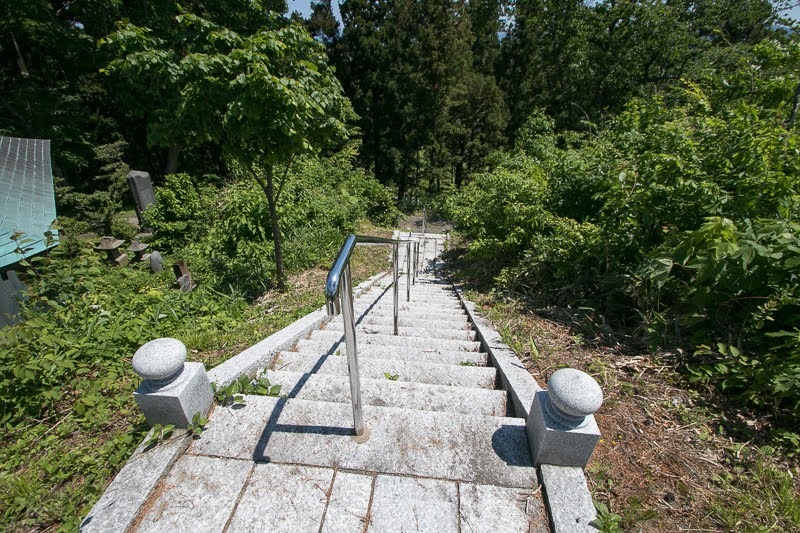 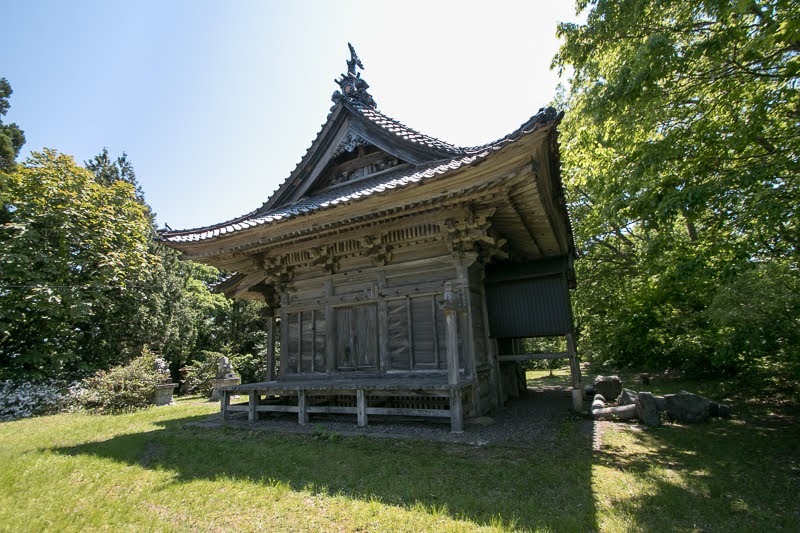 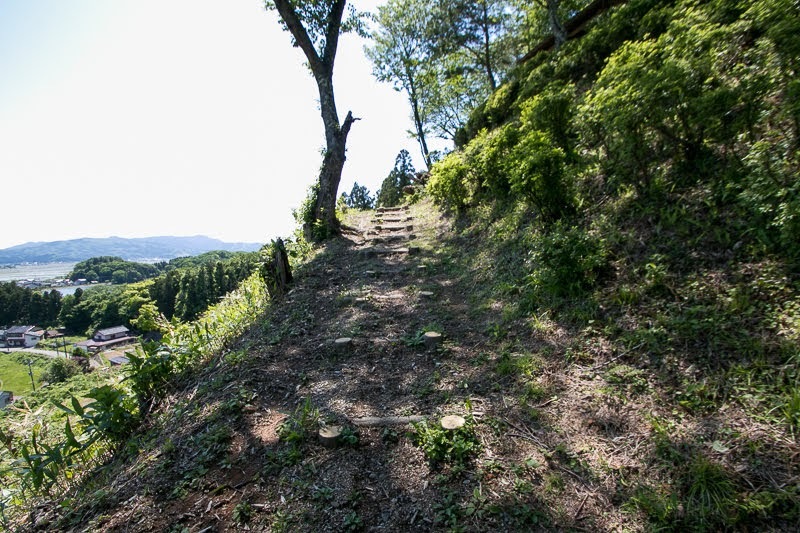 As Haguro-san mountain, one of the major bases of Shugendo, a traditional mountainous religion, later Daihoji clan became the supervisor of the mountain and achieved religious authority. Daihoji clan held the major part of Sakata plain and held two castles at current Tsuruoka city and Sakata city. 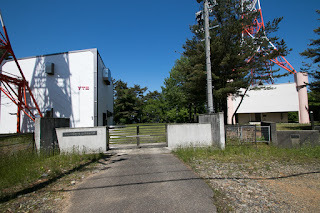 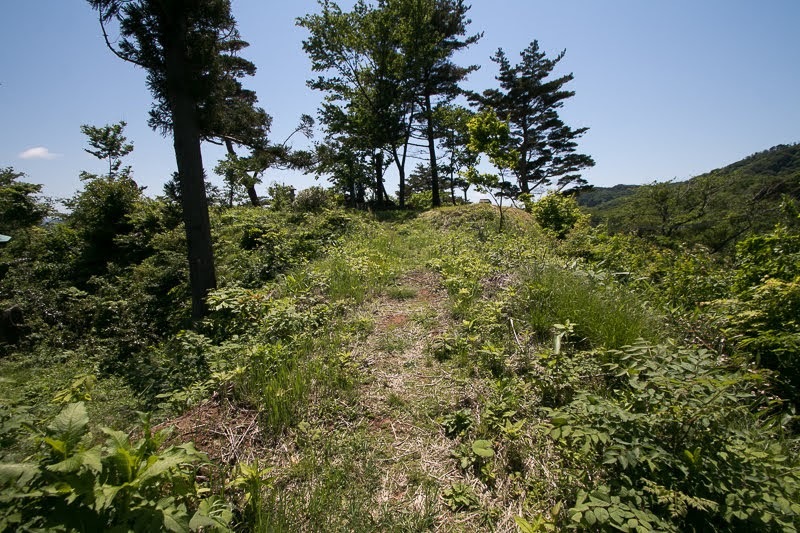 But continuous internal conflict occurred against Sagoshi clan which was supported by Mogami clan, the warlord of Yamagata castle (Yamagata prefecture) of Yamagata basin. 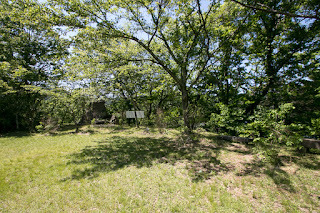 Once their first main base Daihoji castle was burnt down by Sagoshi clan then Daihoji clan moved their main base to secure Oura castle. 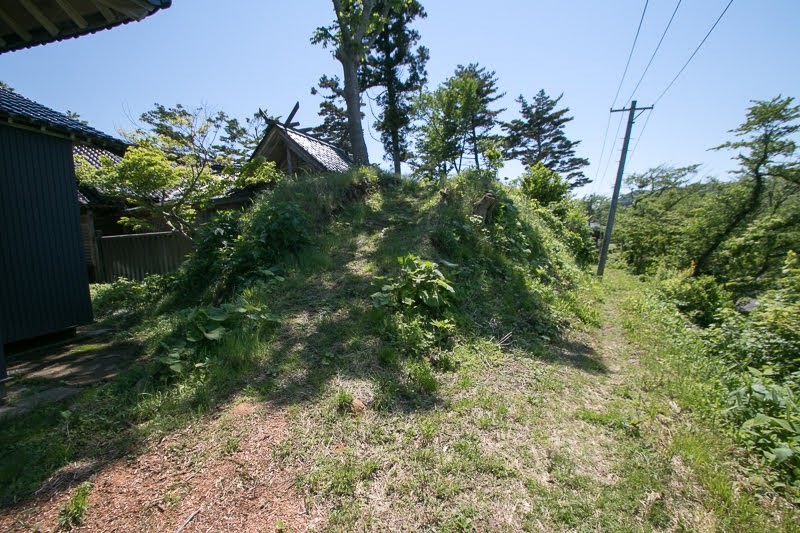 To compete with Sagoshi clan, Daihoji clan belonged to Uesugi clan, the warlord of Echigo province (Niigata prefecture) through Honjo clan, which was the lord of Murakami castle (Niigata prefecture) at Murakami plain at the opposite of southern border. 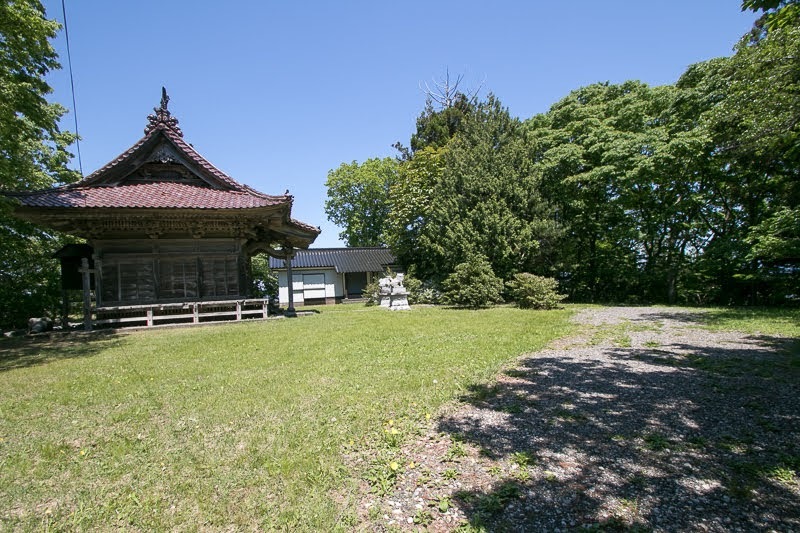 In the middle of 16th century, Uesugi clan prospered by its leader Kenshin Uesugi (1530-1578) who was praised as the war of the god. 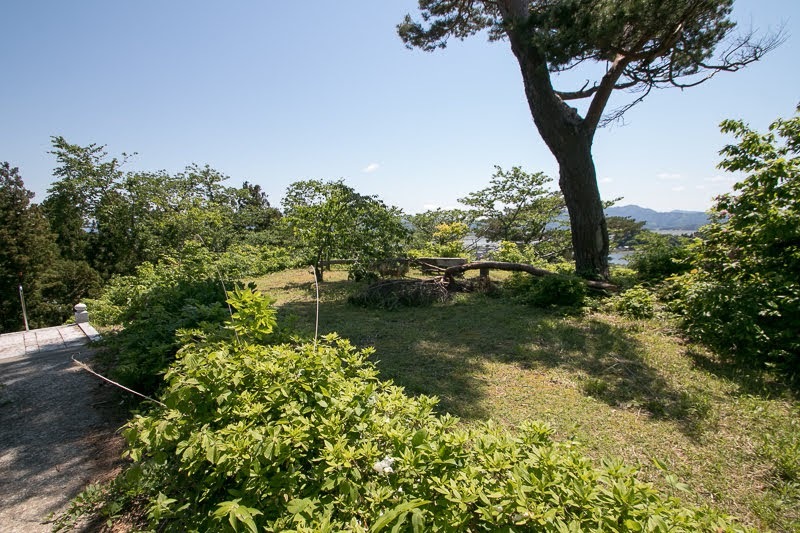 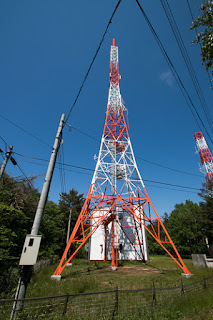 Around that time Mogami clan struggled by its fierce internal conflicts and confrontation against Date clan, the warlord of Yonezawa basin, and could not intervene to Shonai basin. 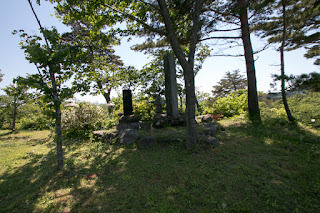 Under such condition, being supported by Uesugi clan, Daihoji clan became the leader of Shonai basin under its leader Yoshiuji Daihoji (1551-1583)..
Yoshiuji forced other local lord to follow him, and next aggressively attacked surrounding territories such as Yuri Honjo area kept by the group of local lord named as Yuri Junito, or current Shinjo basin managed by Onodera clan which was the lord of Yokote castle (Akita prefecture) of Yokote basin in the south part of Akita prefecture. 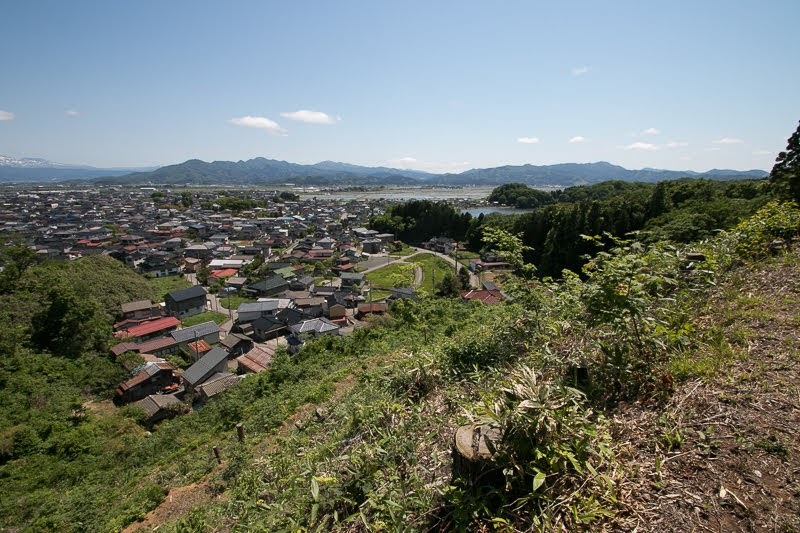 As Onodera clan also aimed at Yuri Honjo area and Shinjo basin, Daihoji clan cooperated with Onodera clan to divide the territory.. After aggressive battles, Onodera clan could seize whole part of Shonai basin and became a strong warlord. 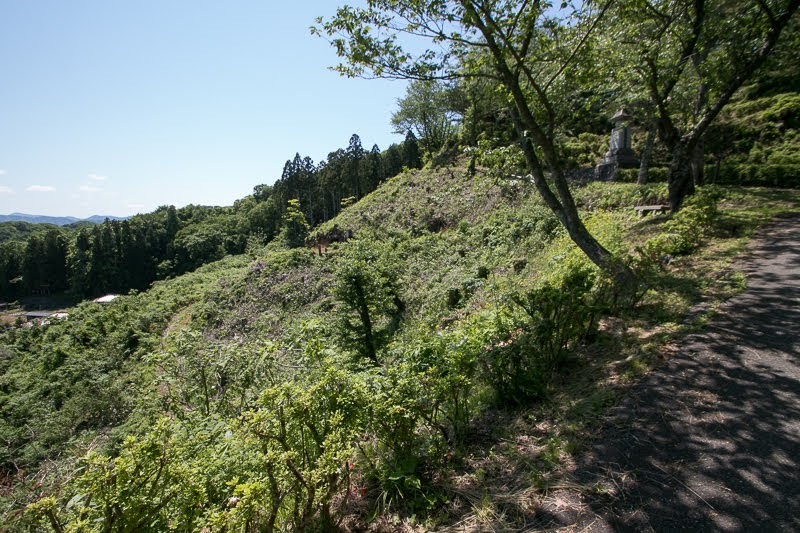 Oura castle might be expanded along with the growth of Daihoji clan. 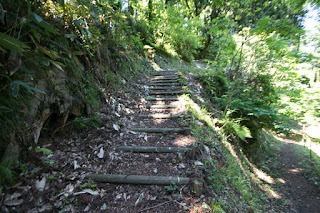 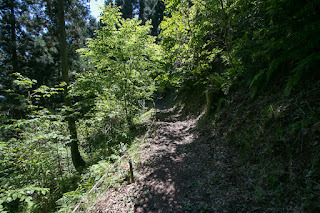 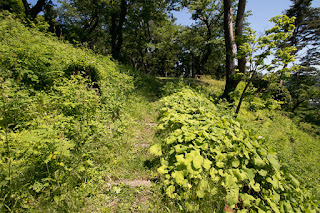 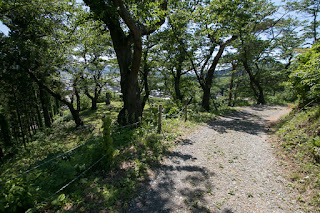 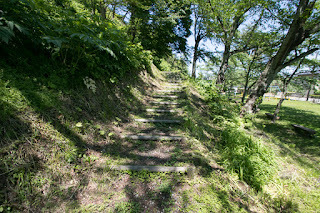 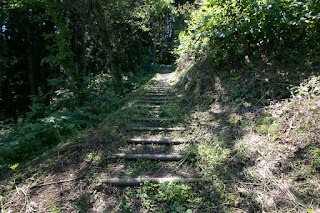 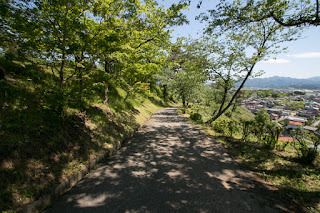 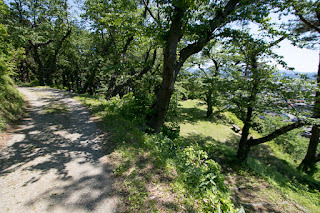 Oura castle spreads over long and narrow hill exceeds 500 meters long. 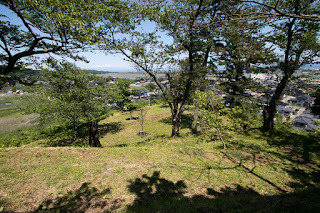 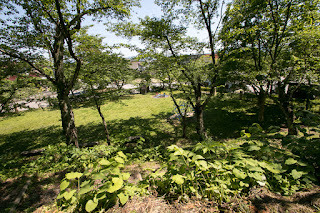 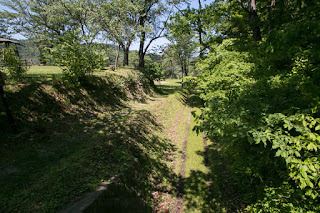 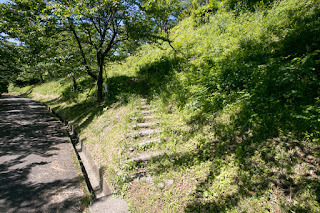 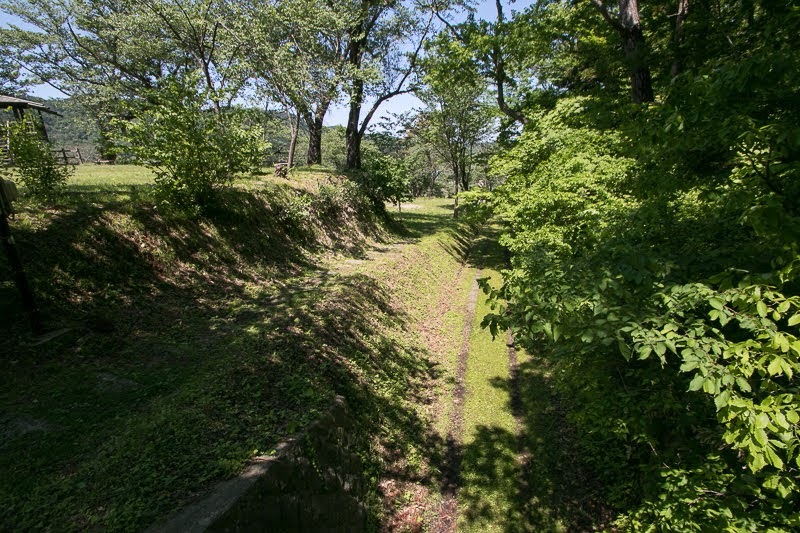 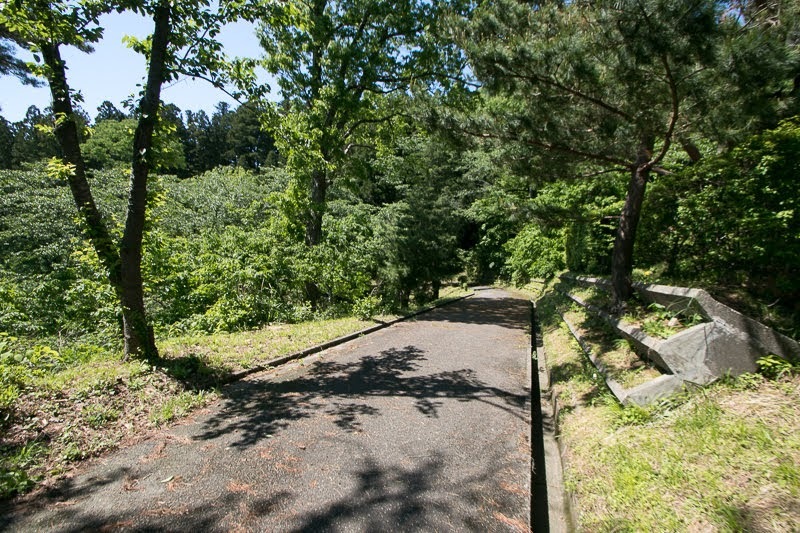 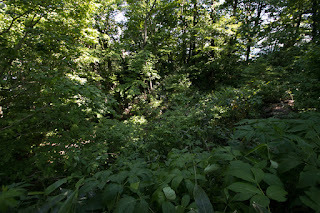 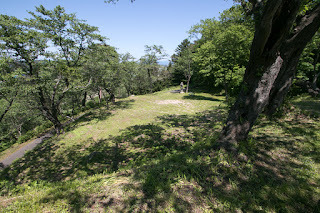 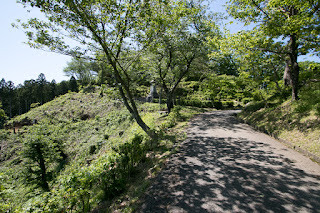 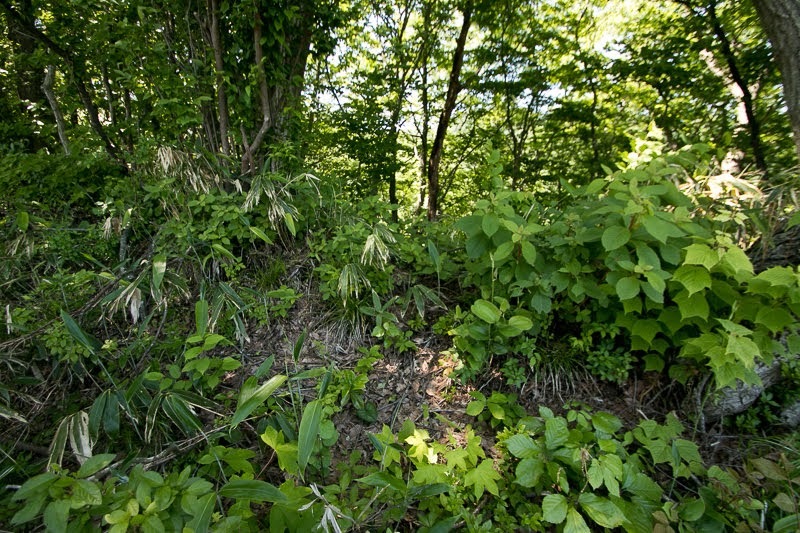 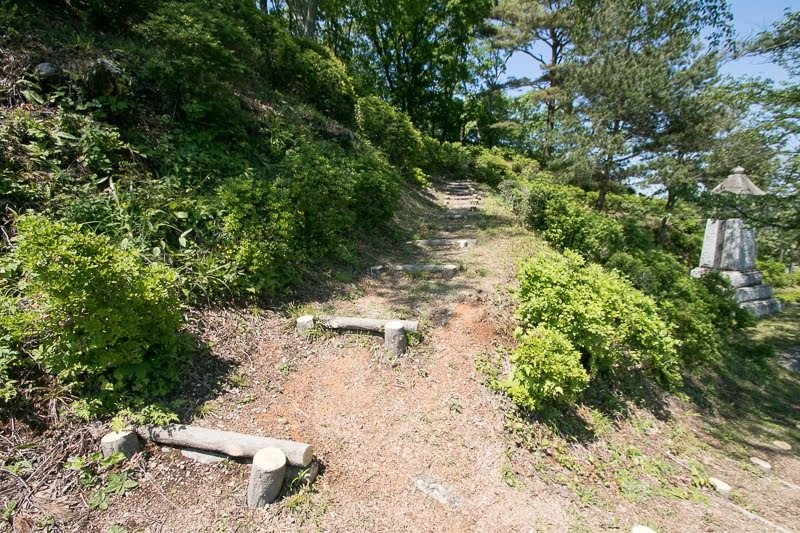 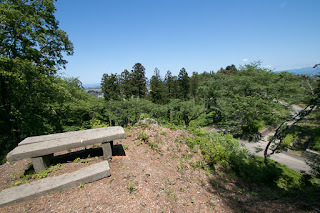 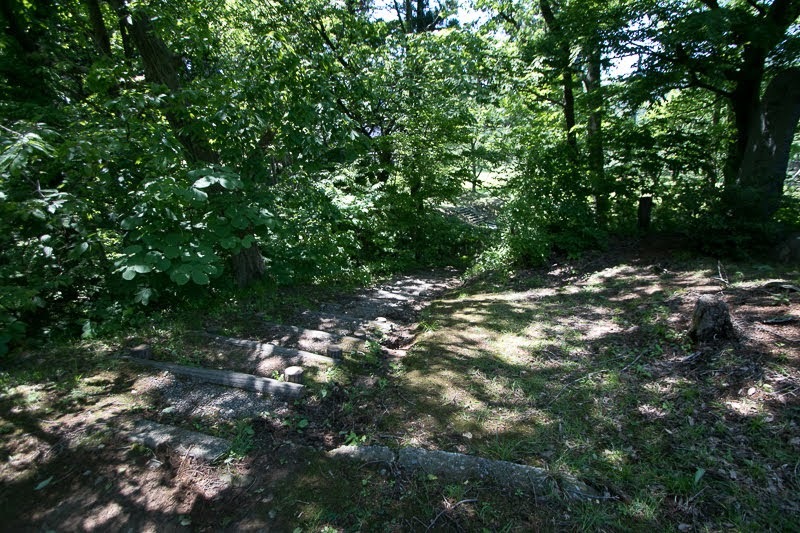 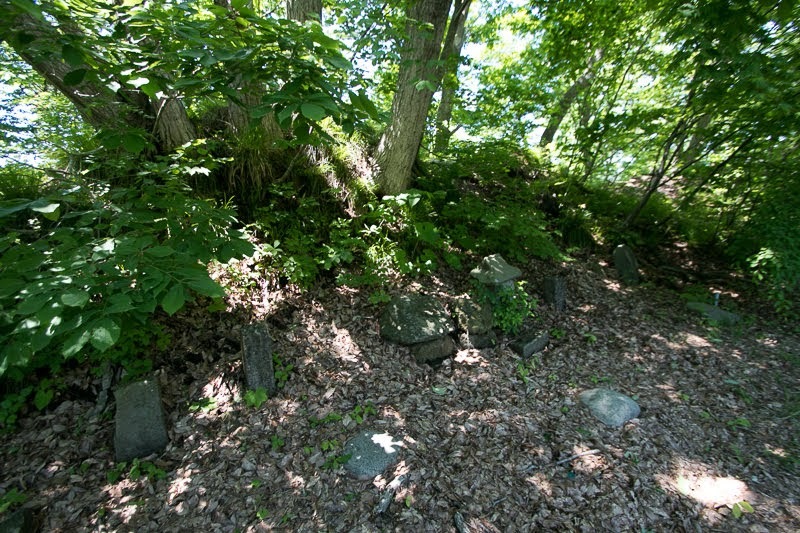 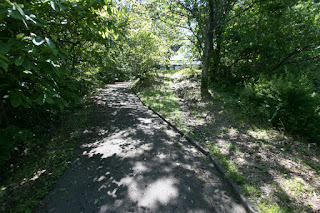 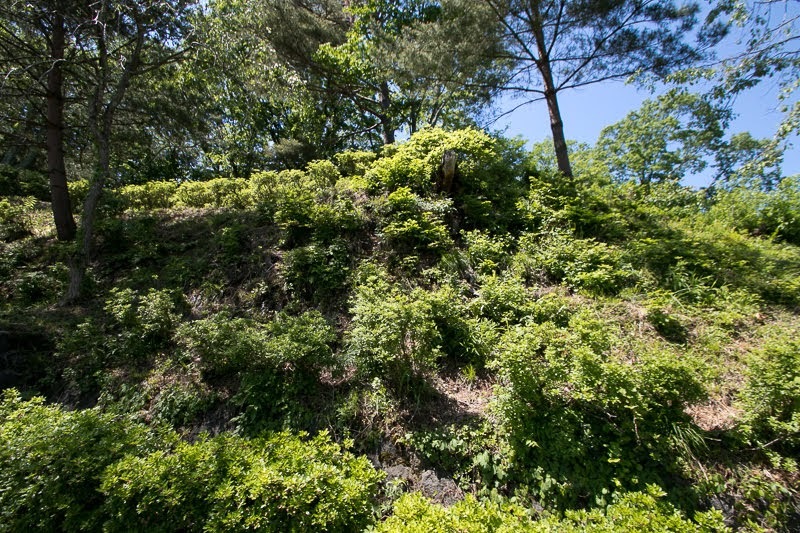 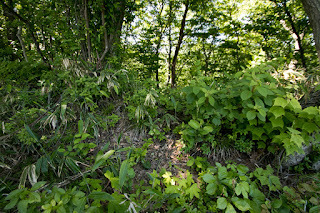 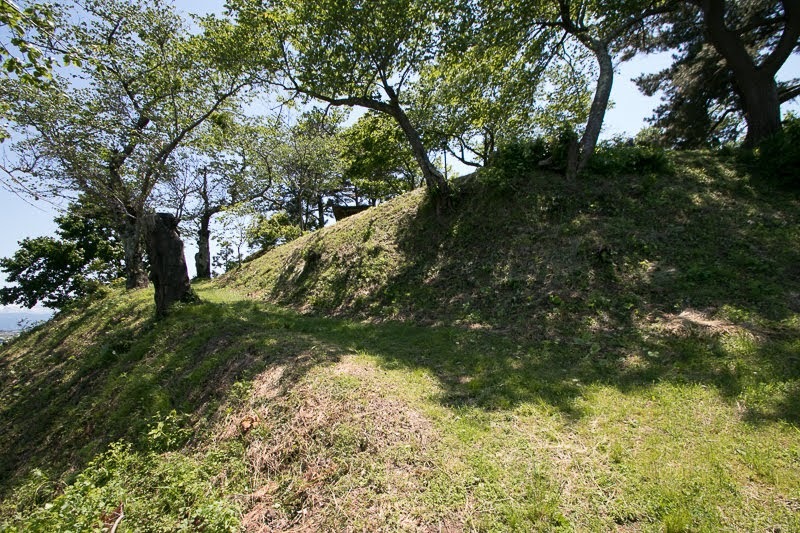 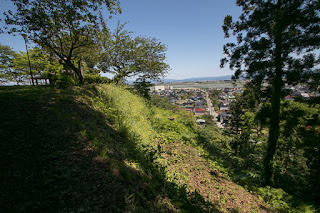 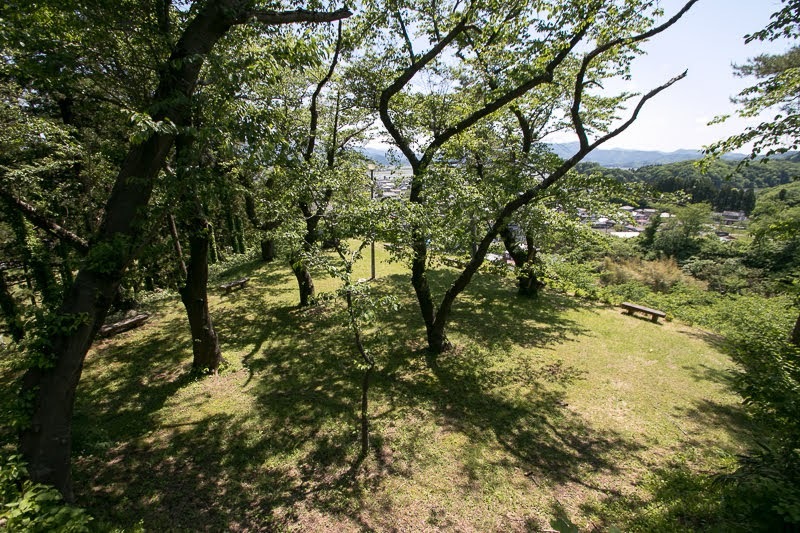 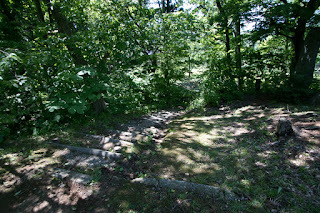 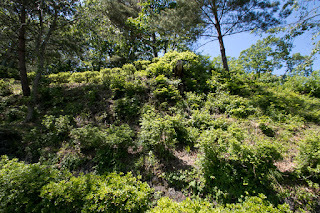 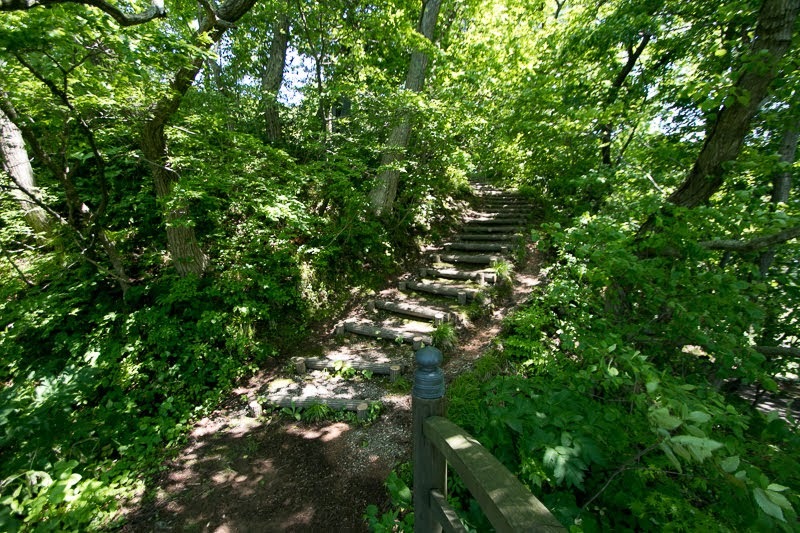 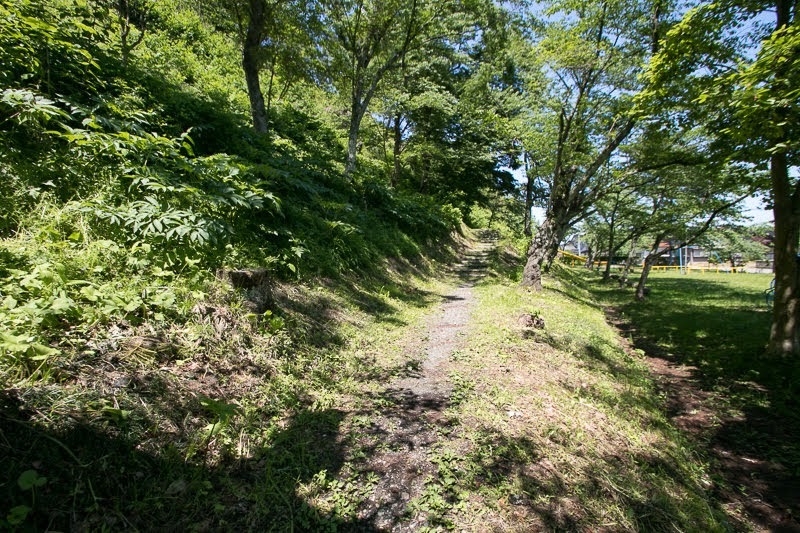 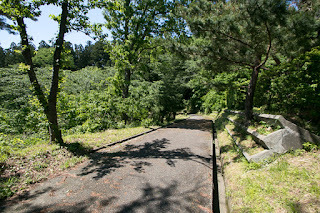 Although the structure was certainly lost by building park, there remain three layers of terraces at the east part of the hill along with backside dry moat. 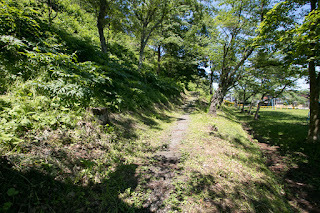 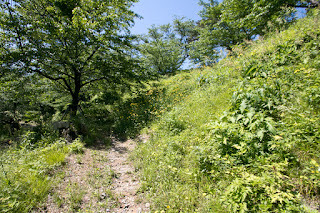 This part might be the original castle area, and the central area of the castle which is about 50 meter long square exists at the top of this area. 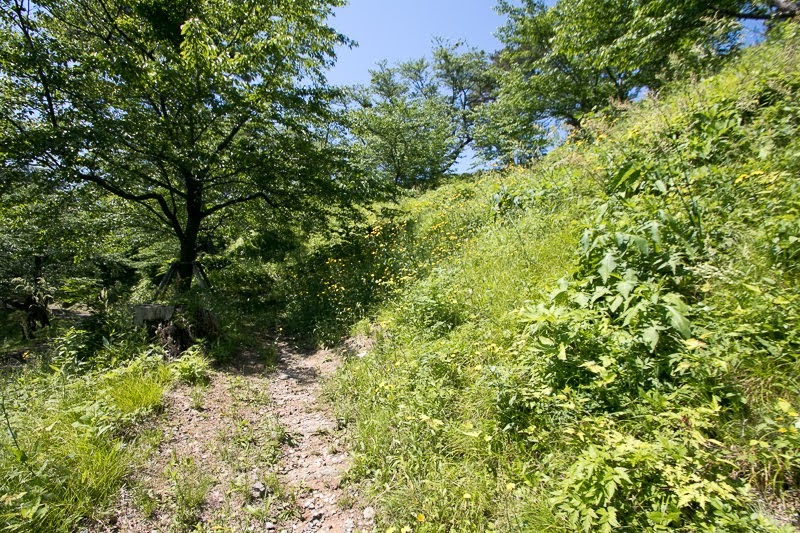 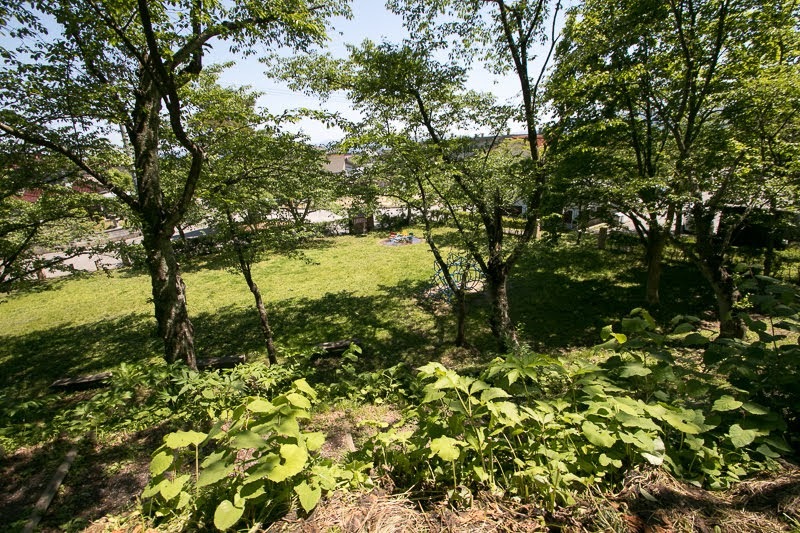 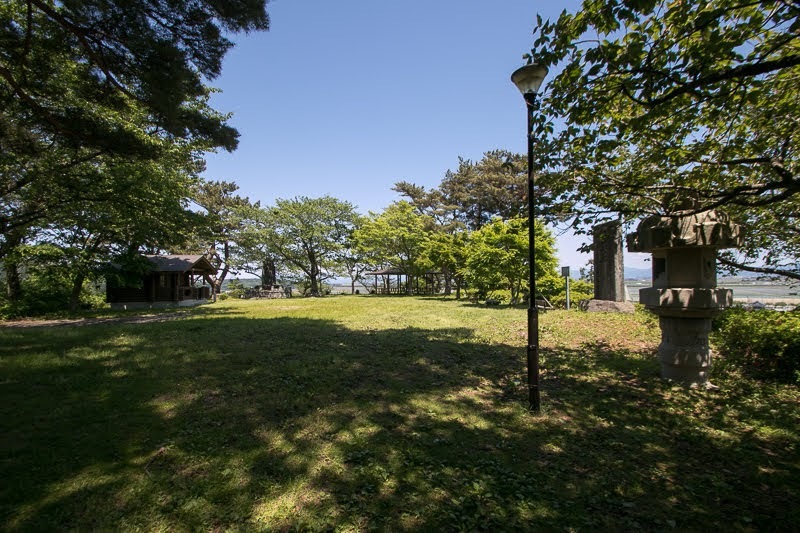 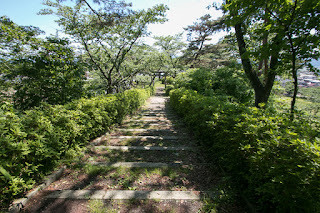 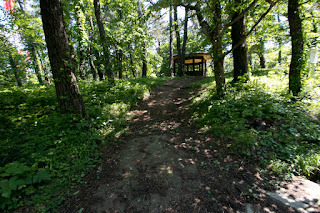 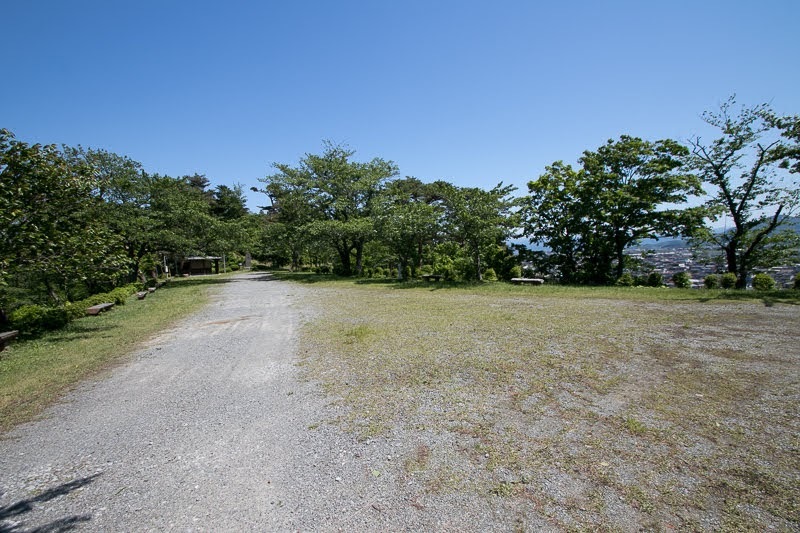 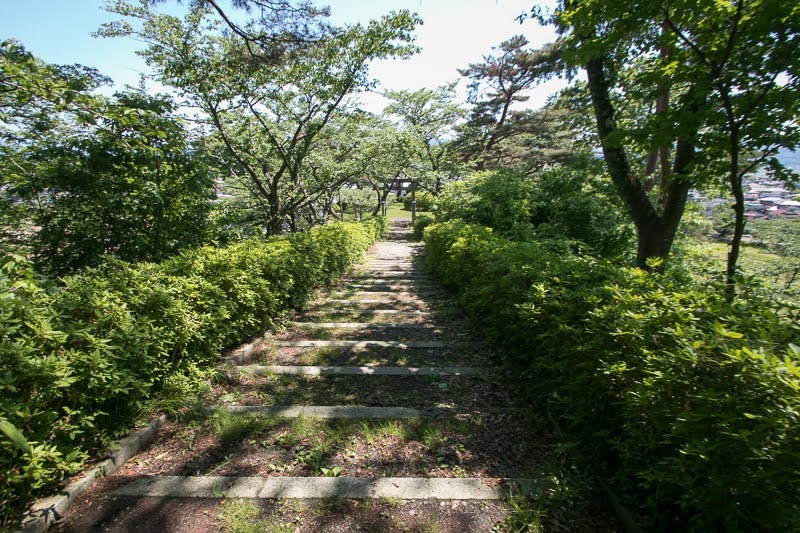 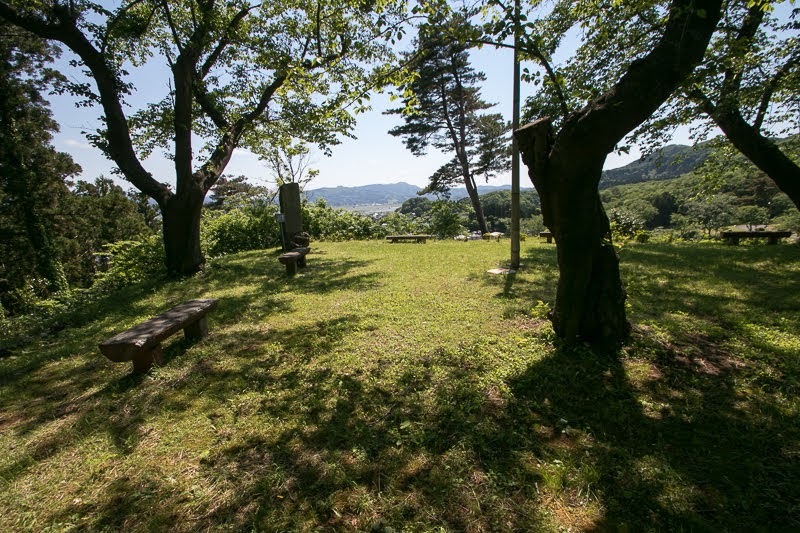 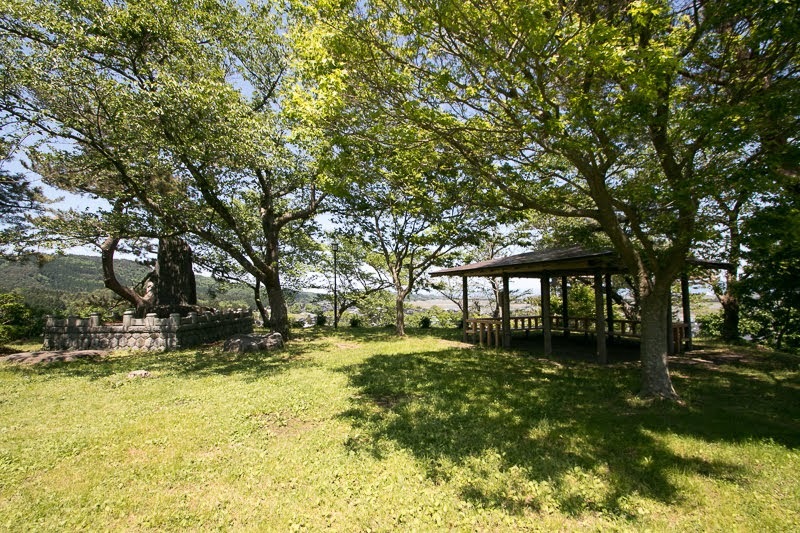 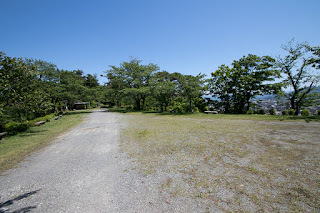 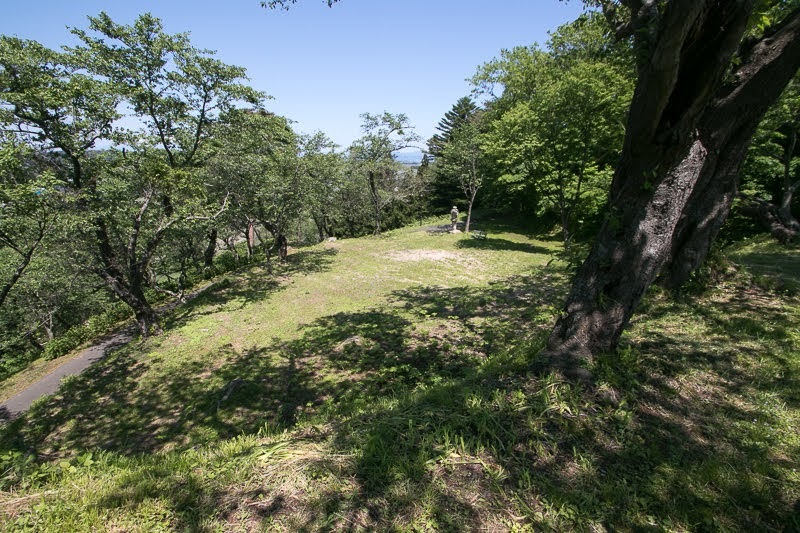 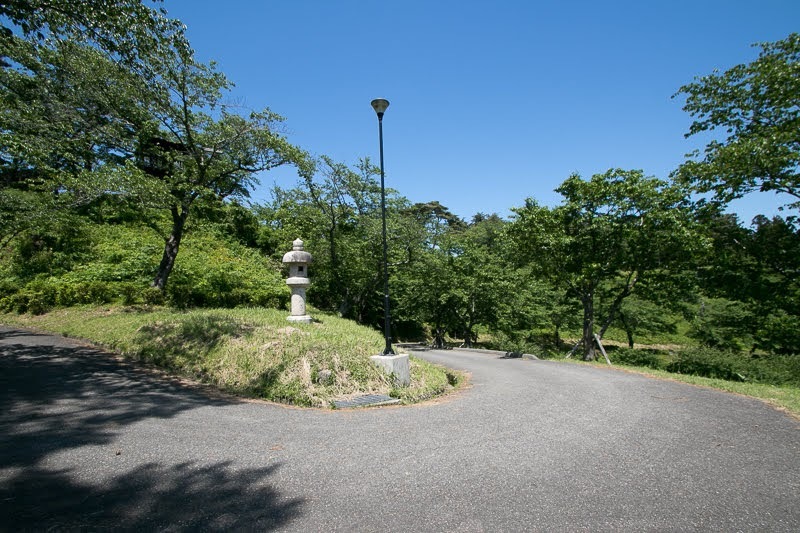 Middle part of the hill is a large flat space of 100 meter long and 50 meter wide, used as a ground of shrine. 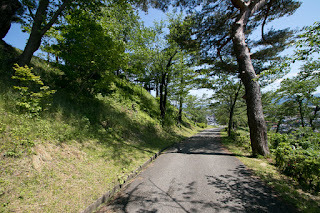 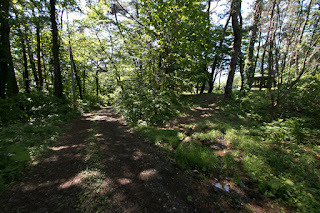 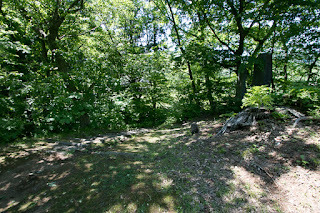 There might be the residence of the lord, along with hillside residence just the below of this area. 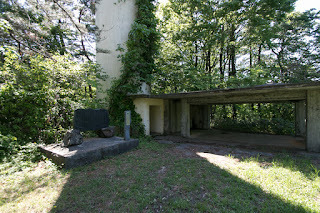 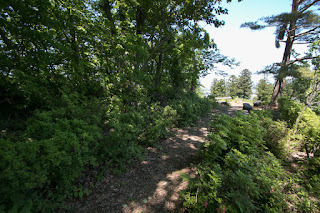 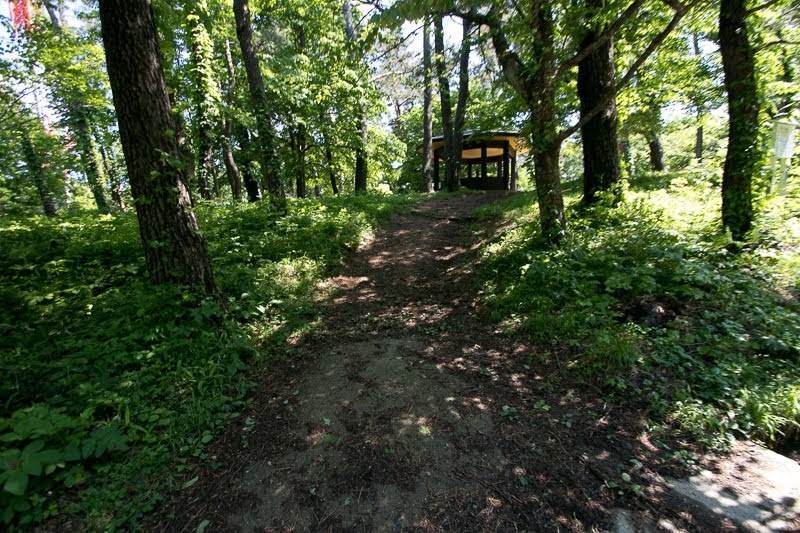 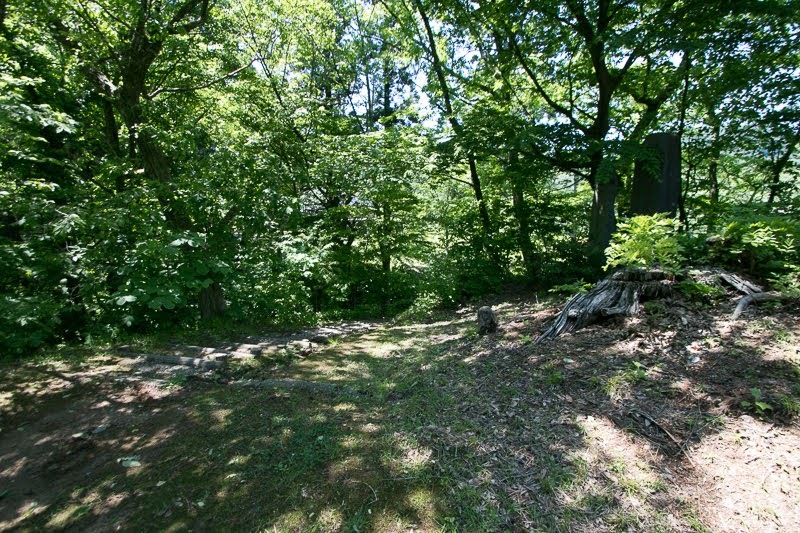 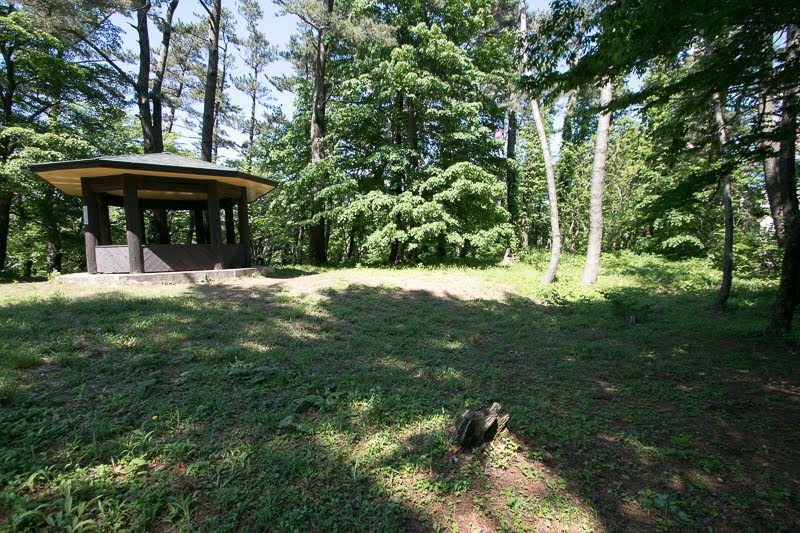 Western part of the hill might be storage or camping space, along with the watching place at western edge. 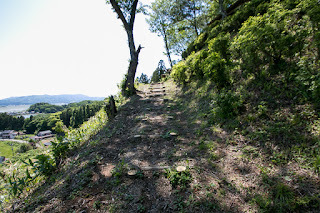 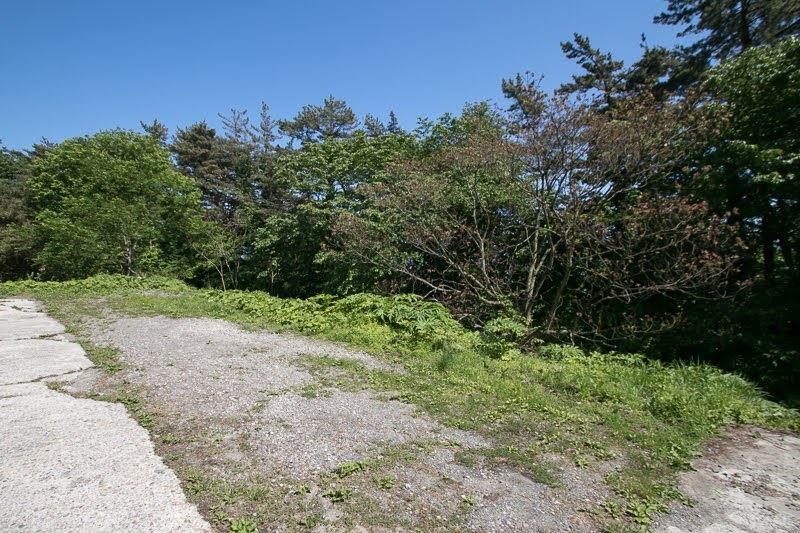 At the top of Takadate-yama mountain which might be 60 minutes walk from Oura castle, Takadate castle which was the inner castle was built. 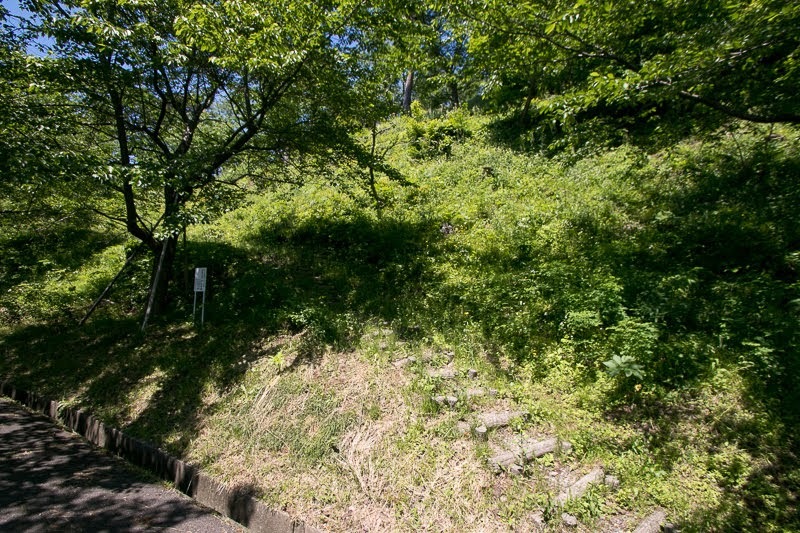 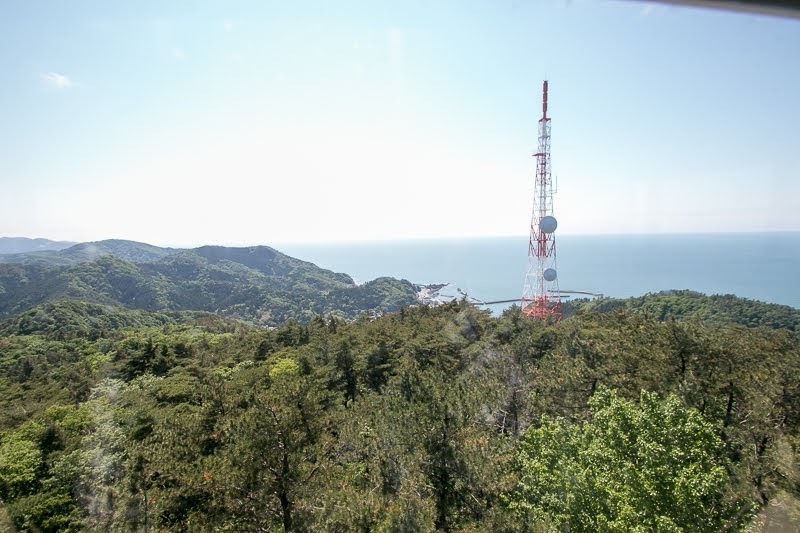 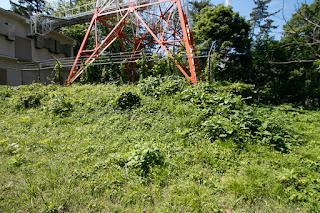 Most part of structure was destructed by construction of TV antennas, but the trace of terraces or gates slightly remain at the edge of hilltop flat area. Daihoji clan experienced its peak around 1575, but it did not last long. 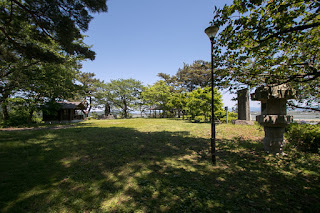 In 1578, Kenshin Uesugi who supported Daihoji clan suddenly died, and at the internal conflict for successor Daihoji clan and Honjo clan were divided into different side. 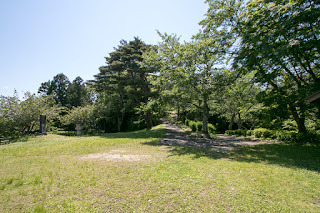 As Daihoji clan supported loser side, the support from Uesugi clan had ended. 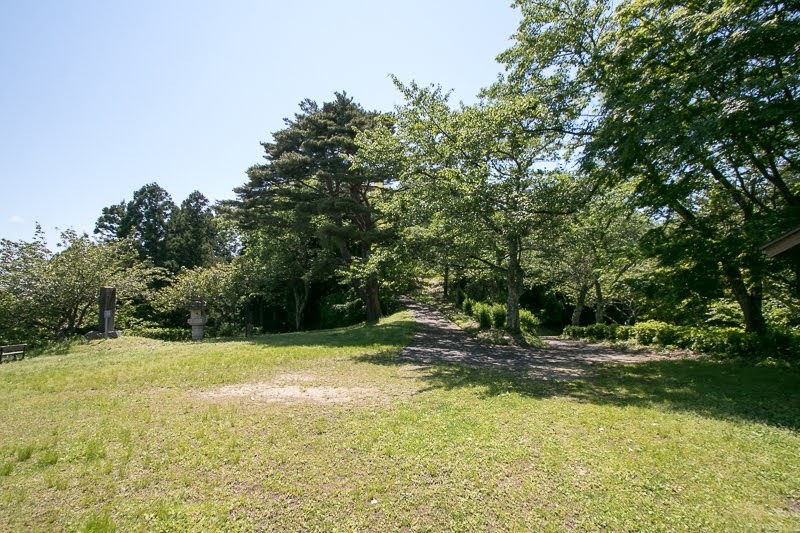 On the other hand, after a severe internal conflict between the father and son, new leader Yoshiaki Mogami (1546-1614) raised his army to restore the glory of Mogami clan then expanded toward north. 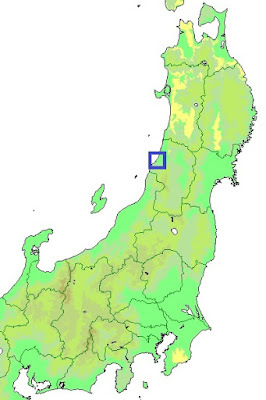 Mogami army gradually proceeded into Shinjo basin, where Yoshiuji aimed. 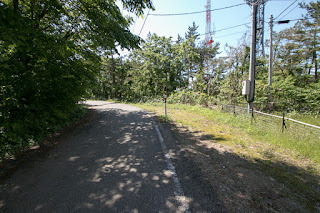 In addition to these external conditions, continuous military operations brought the dissatisfaction among retainers and residents. Because of geographic condition Daihoji army had to go on long expedition, and advance on wealth Shinjo plain was driven back by local lords. 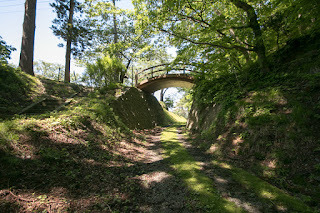 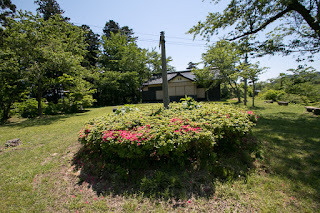 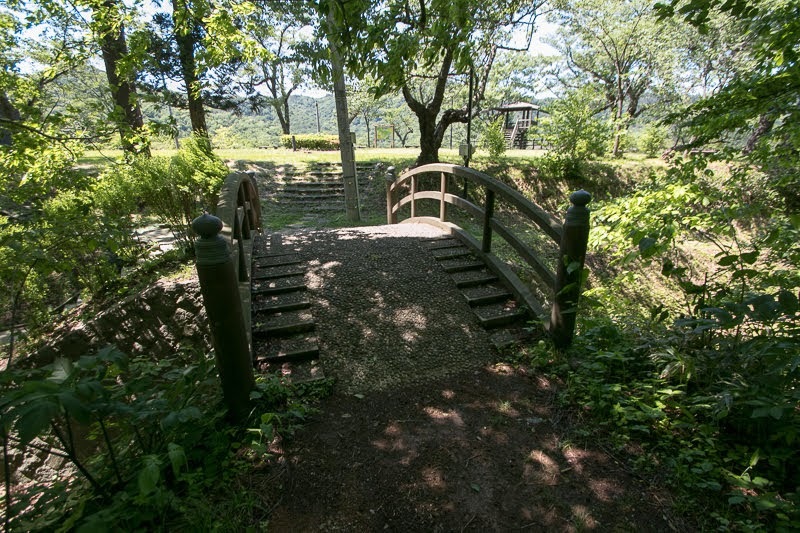 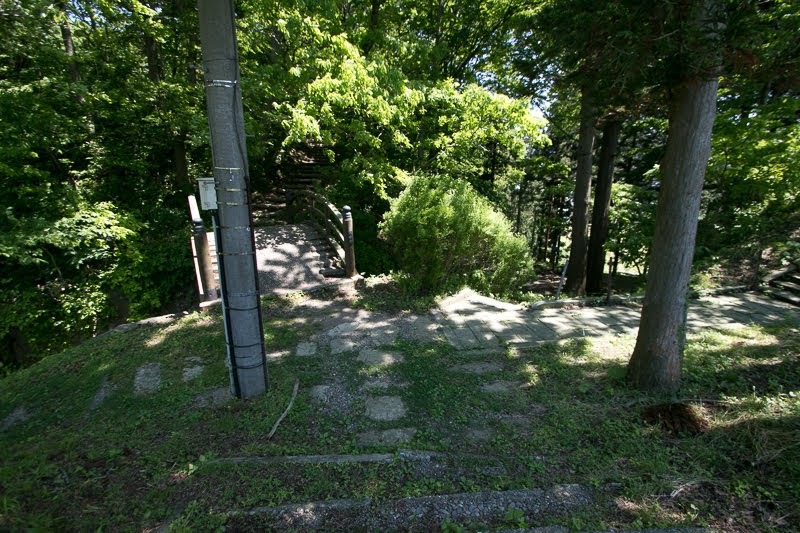 Daihoji clan held most part of Yuri Honjo area but it was a small basin and not so paid. Gradually Yoshiuji Daihoji was evaluated as “bad lord”. 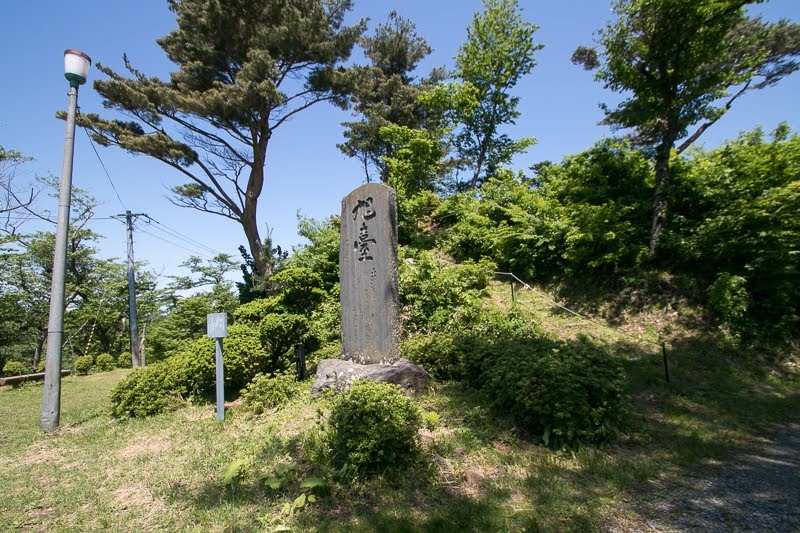 To cope with this situation, Yoshiuji Daihoji approached to central ruler Nobunaga Oda (1534-1582) and achieved the name of highness. 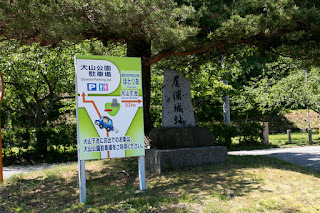 Fall of Uesugi clan and unification of Nobunaga seemed soon then Yoshiuji barely gained the control of the region. 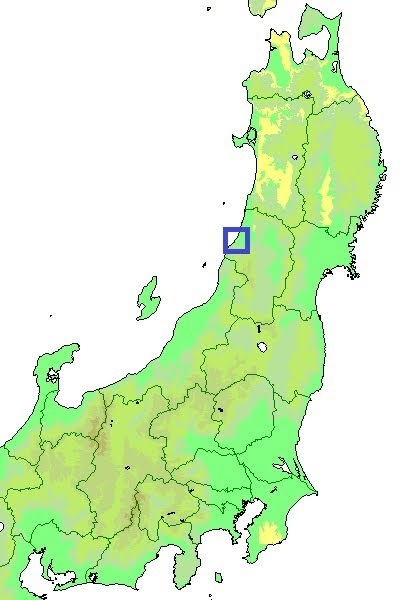 But his invasion toward Yuri-Honjo area could not make remarkable result. 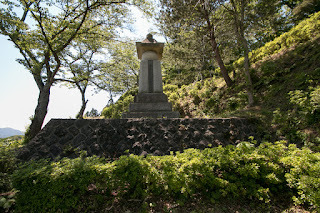 In 1582, Nobunaga suddenly died by the incident of Honnoji, a coup d’etat by his general Mitsuhide Akechi (1521-1582). Hideyoshi Hashiba (1537-1598, later Hideyoshi Toyotomi) who broke Mitsuhide and became next ruler agreed with Uesugi clan, then Onodera clan fell into the enemy of central ruler. 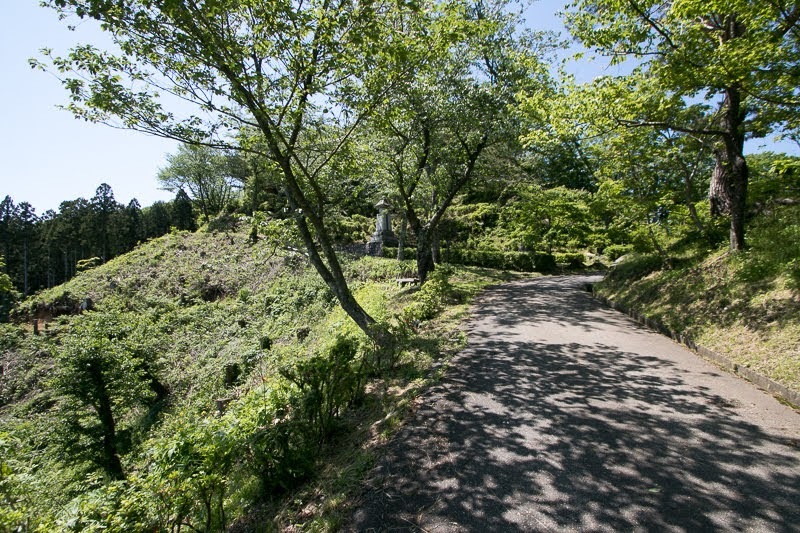 Losing his backer, Yoshiuji Daihoji had to gain his legitimacy by winning the battle. 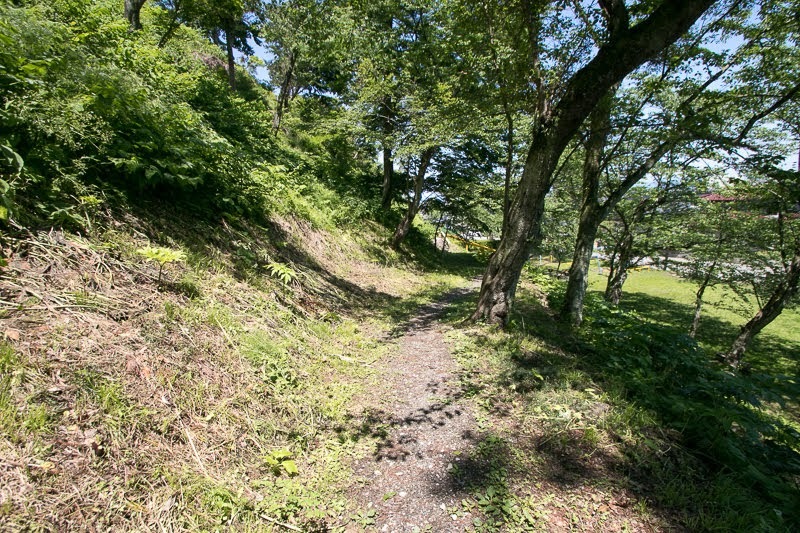 In January 1583, impatient Yoshiuji forcibly marched to Yuri region, before the expected attack of Mogami clan in spring. 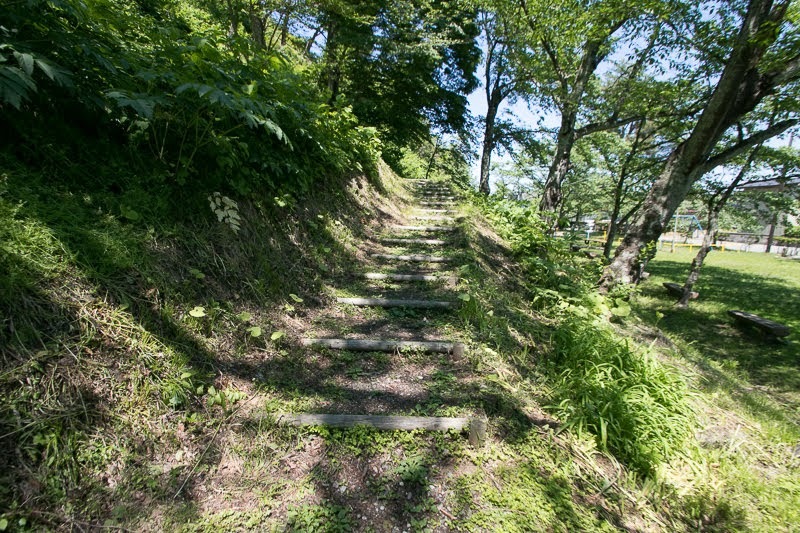 But Yoshiuji lost many soldiers in heavy snow and storm, thus Yoshiuji totally lost the trust of retainers. Looking at this situation, Yoshiaki Mogami who was good at plots secretly negotiated Tozenji clan, the retainer of Yoshiuji to betray his master. 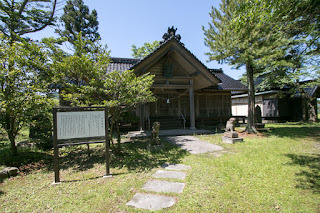 In 1583 Tozenji clan assaulted Yoshiuji at his residence, then Yoshiuji killed himself and ended his short life. 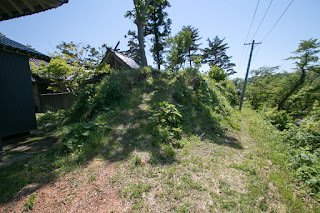 His younger brother was also killed by Tozenji clan four years later, and the history of Daihoji clan as the lord of Shonai plain had ended. 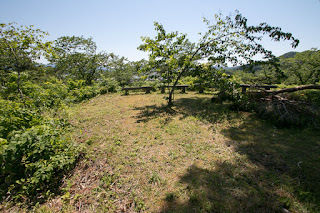 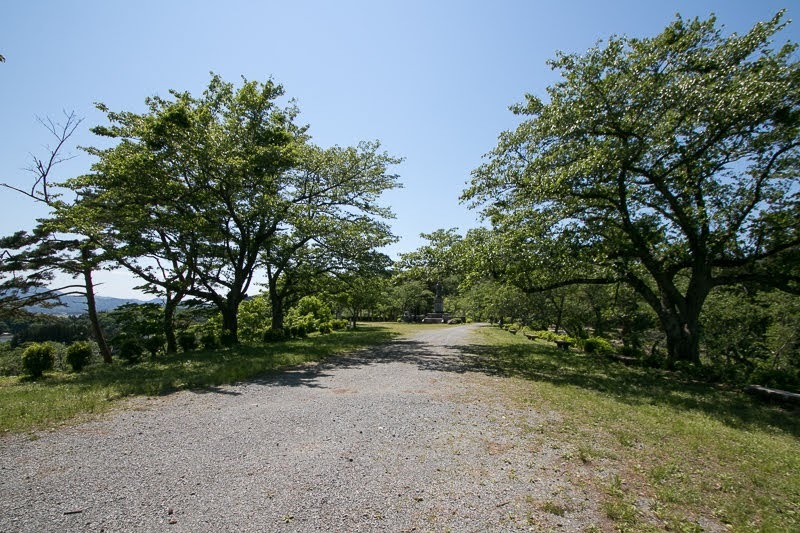 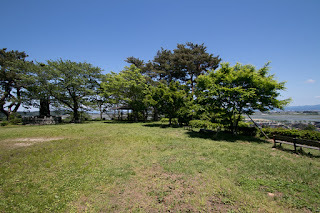 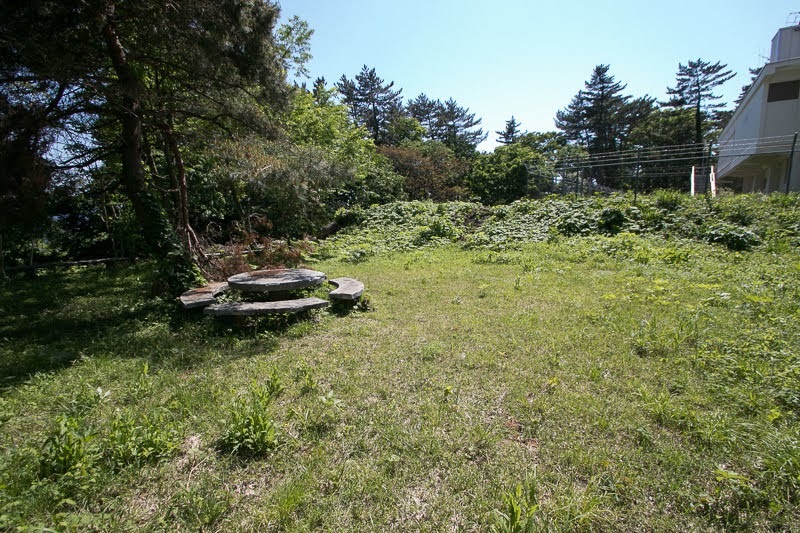 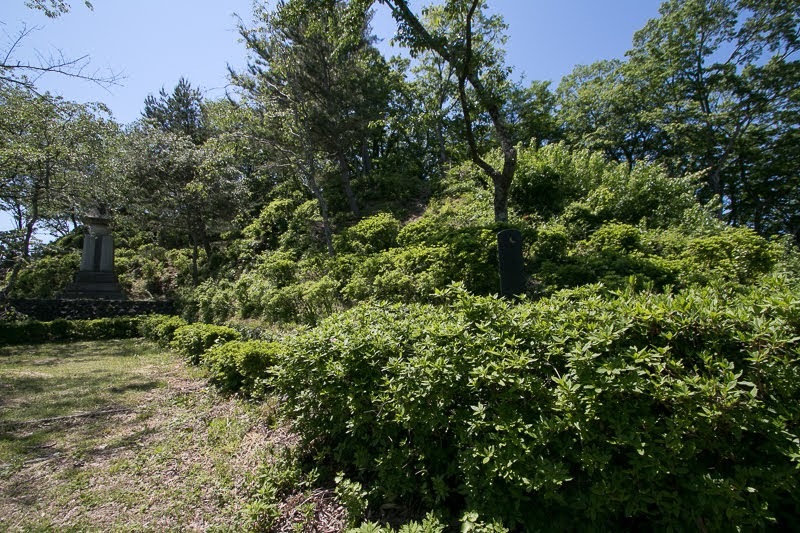 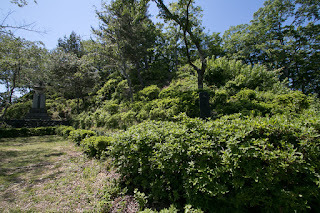 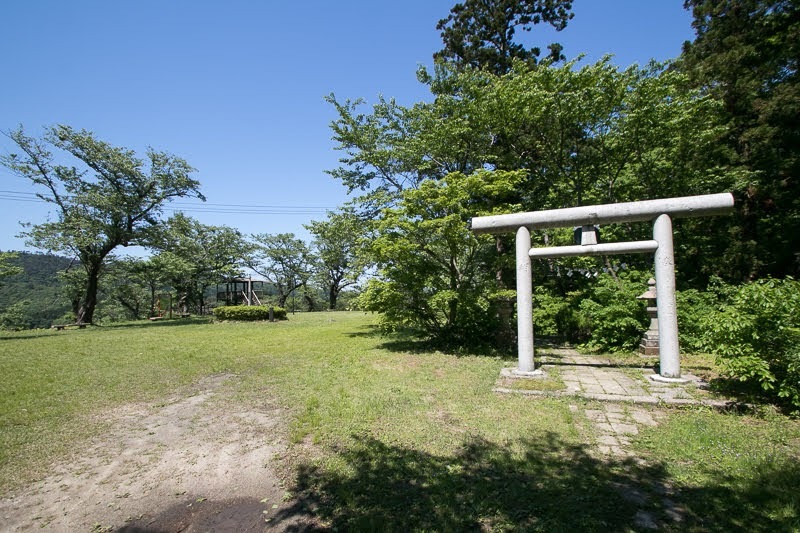 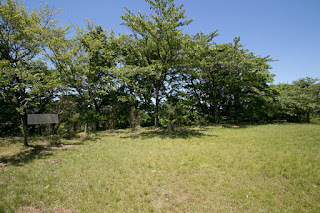 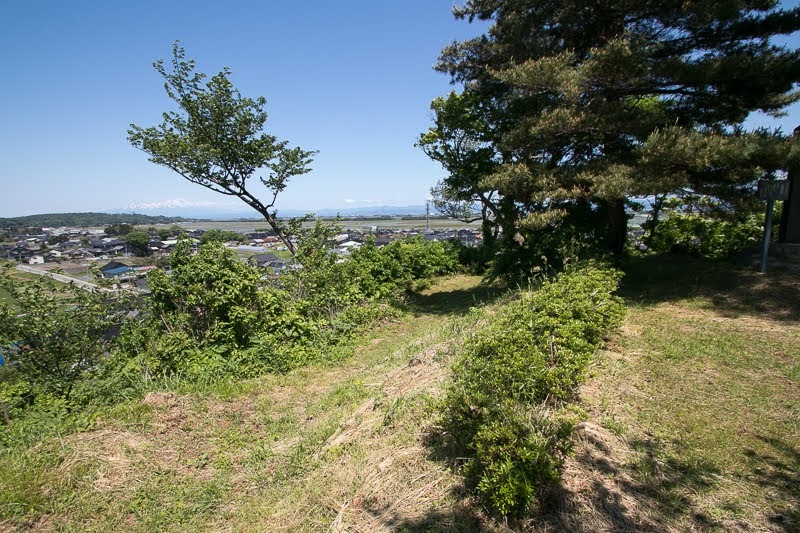 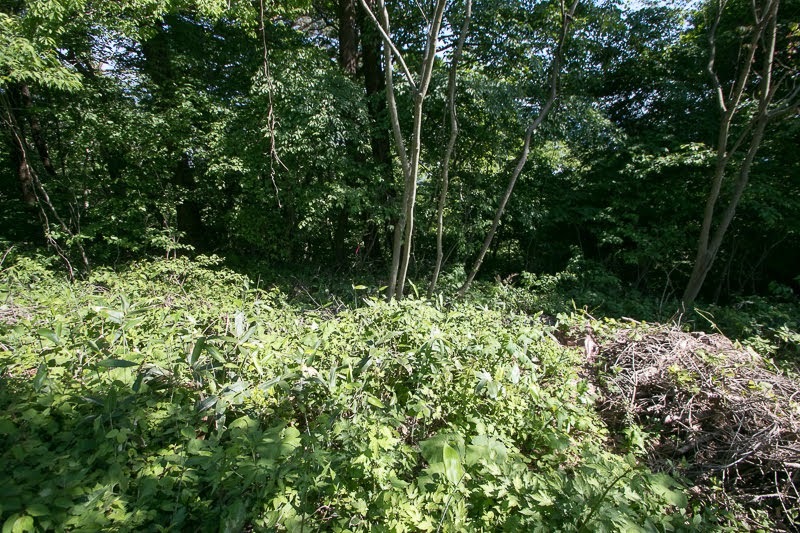 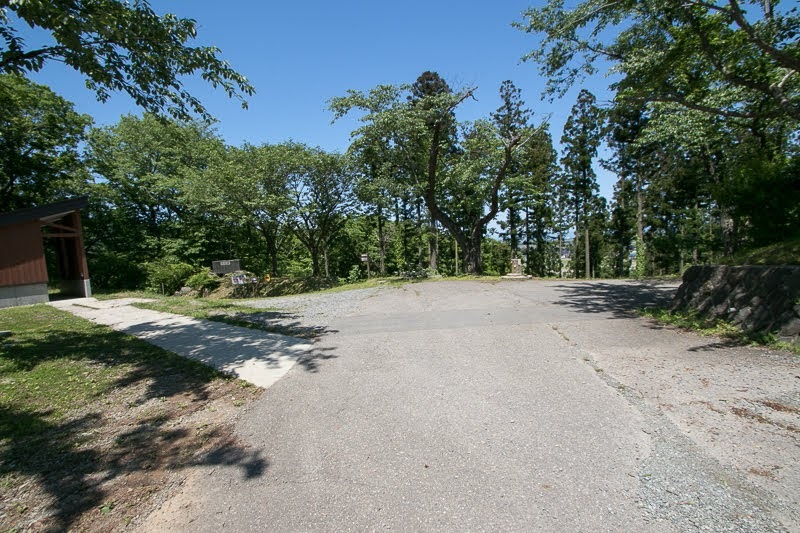 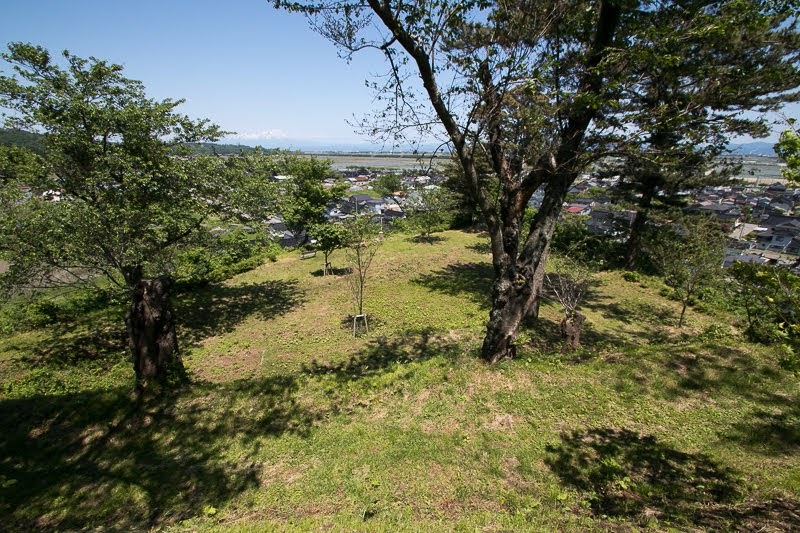 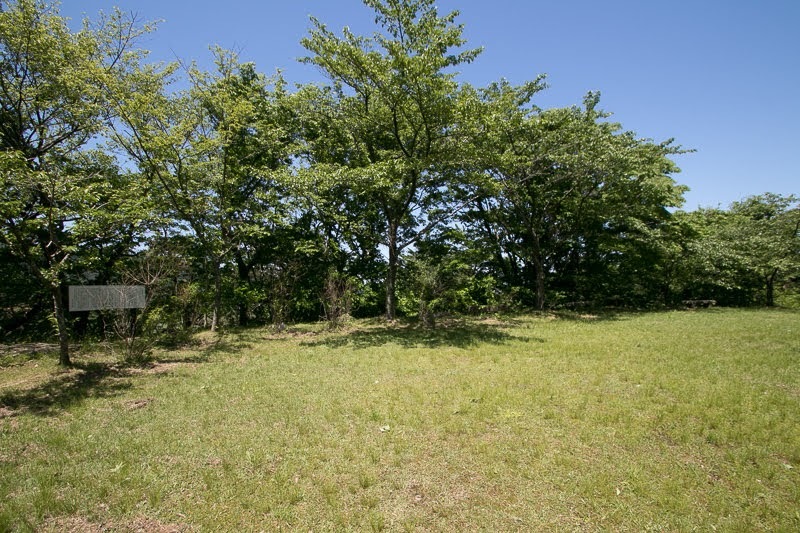 Mogami clan once captured Shonai plain in 1587, but next year Honjo clan marched into Shonai plain under the order of Uesugi clan when Mogami army confronted against Date clan at Osaki area. 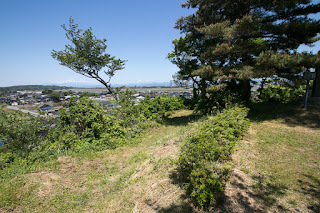 Inferior Mogami clan lost the battle of Jugorigahara near from Oura castle, then Oura castle fell and Mogami clan lost Shonai plain. 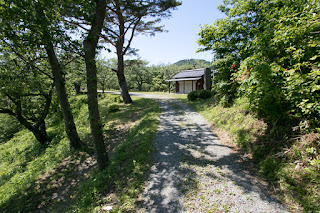 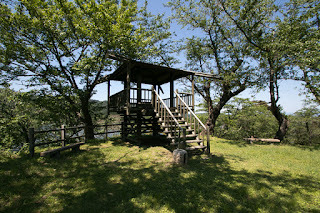 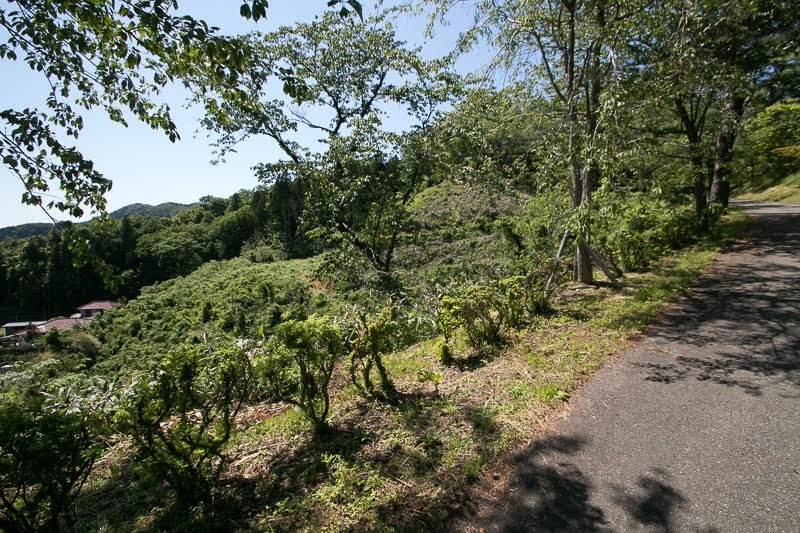 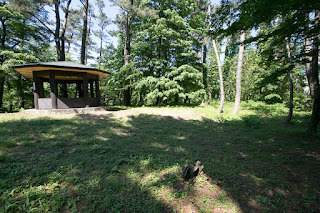 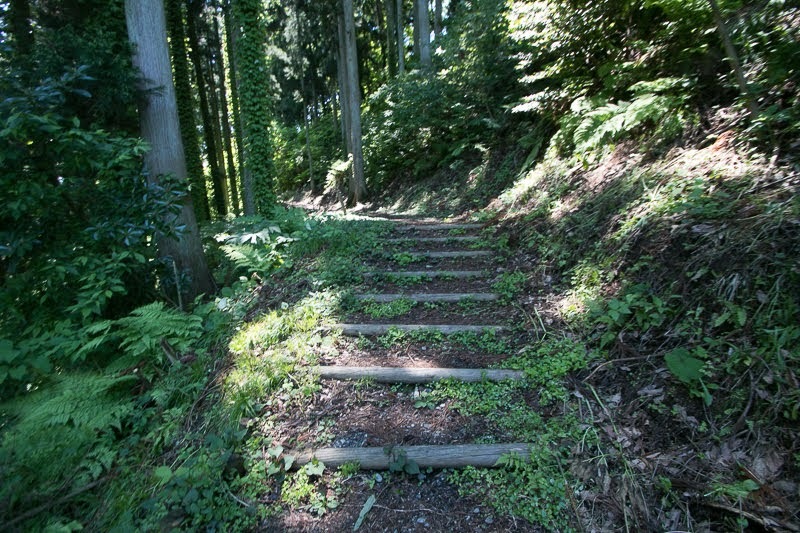 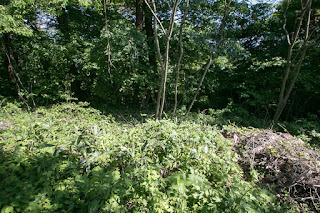 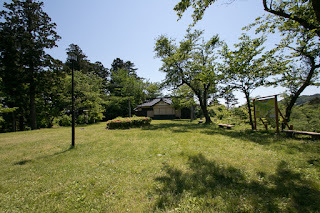 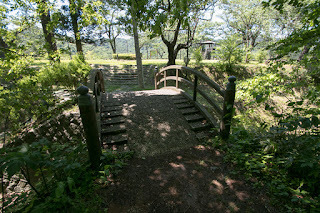 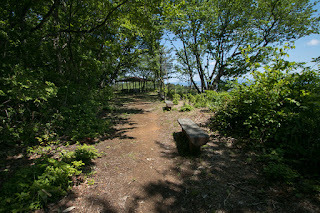 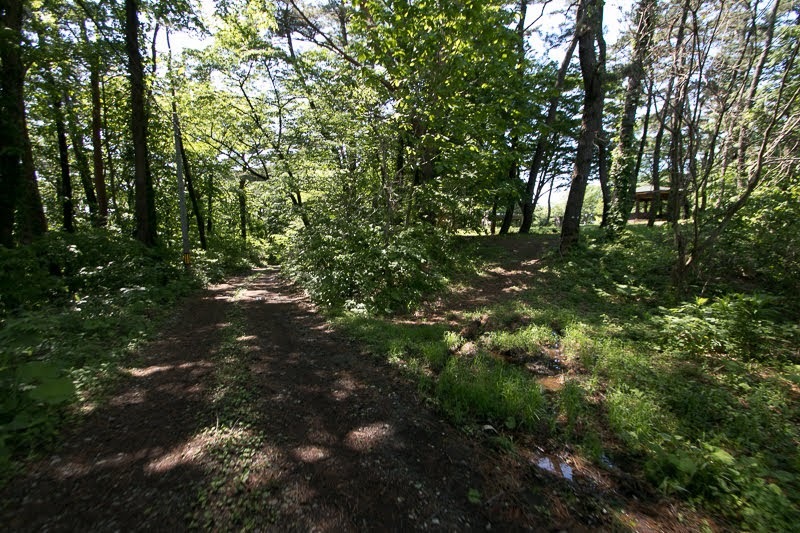 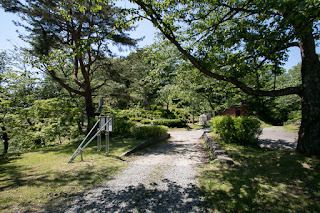 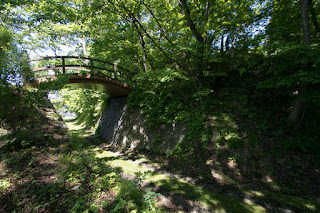 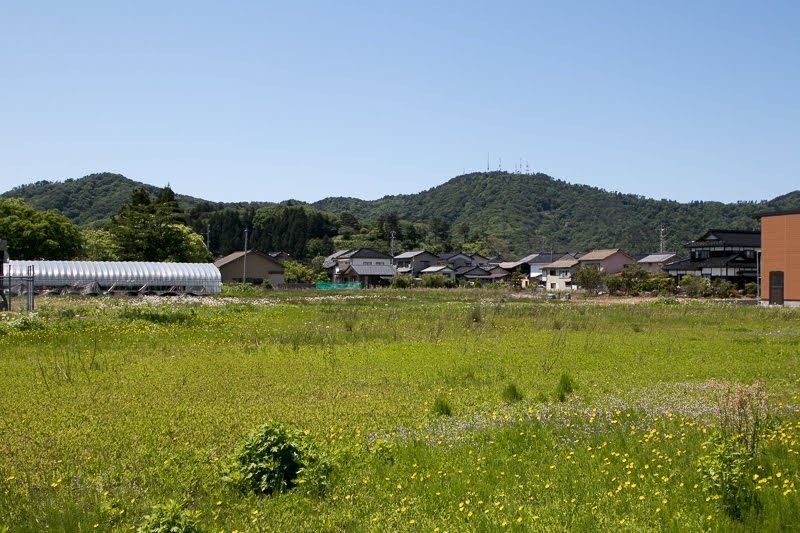 Honjo clan once held Shonai plain but was blamed for the rise of residents, thus Uesugi clan directly managed the area. 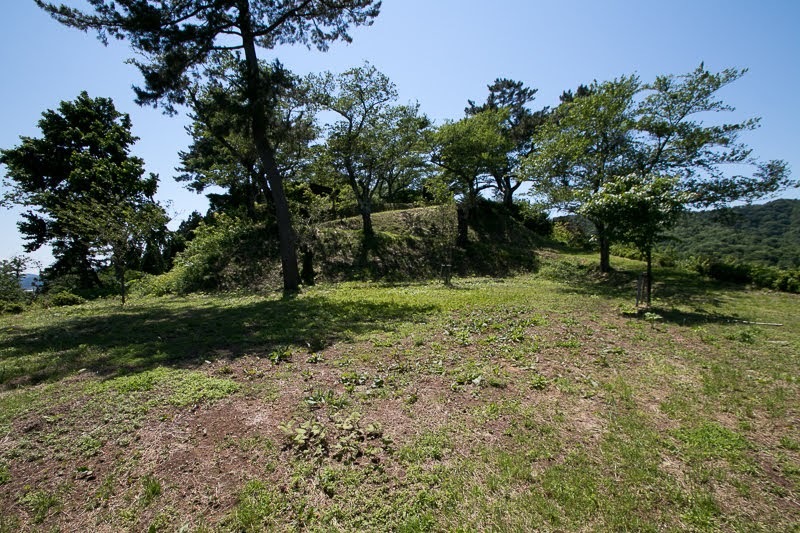 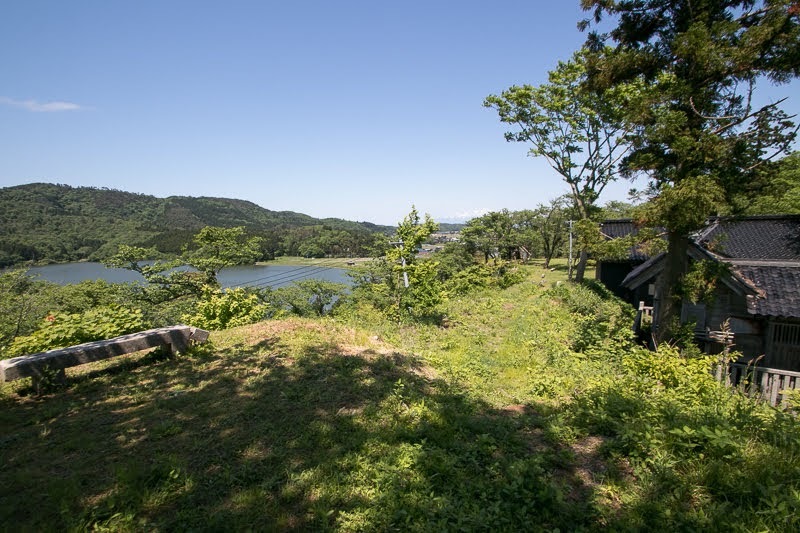 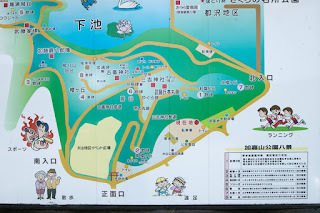 But Uesugi clan used Tozenji castle as their main base, and Oura castle might be abolished then. 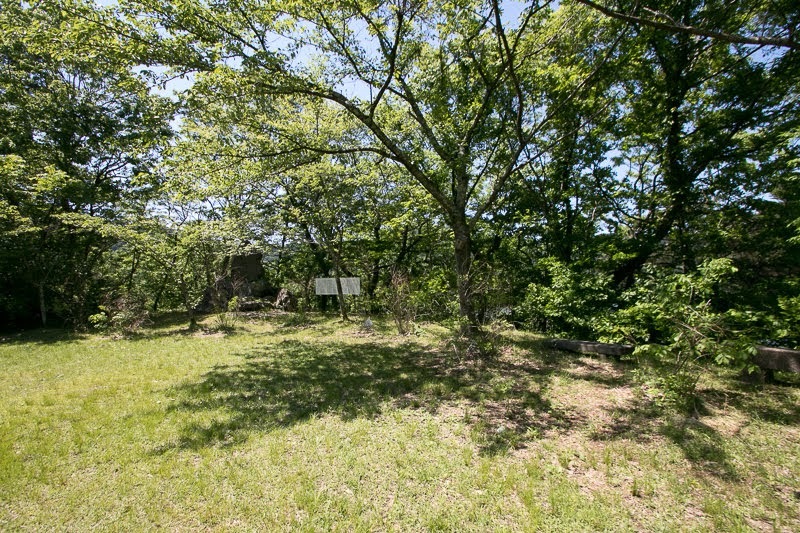 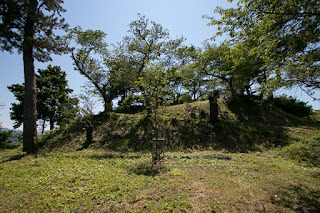 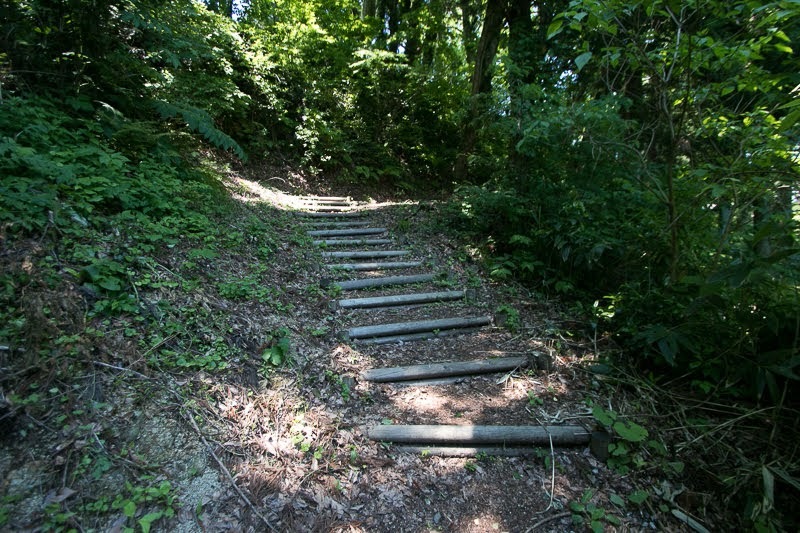 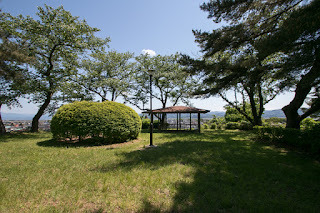 After the temporal return of Mogami clan, Sakai clan which became the lord of Tsuruoka domain built Tsurugaoka castle (Yamagata prefecture) at the place of former Daihoji castle. 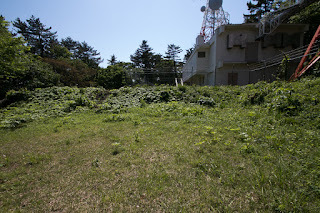 Today both castles are certainly destructed but barely keep the atmosphere as castles. 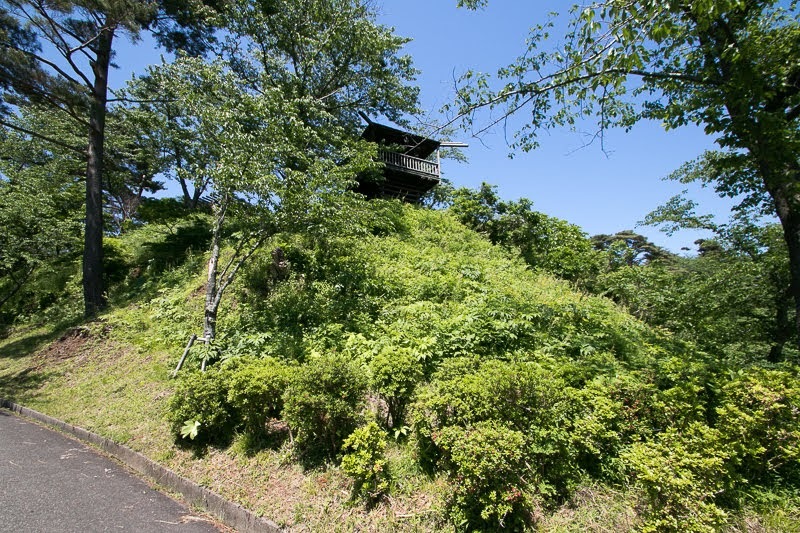 Low height Oura castle in front of tall Takadate-yama mountain exactly resembles to the shape of Daihoji clan which needed backers. 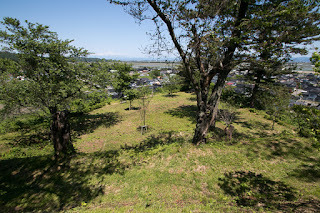 Now the castle site becomes a peaceful Oyama park covered with flowers, forgetting the memory of ancient too much ambitious lord. 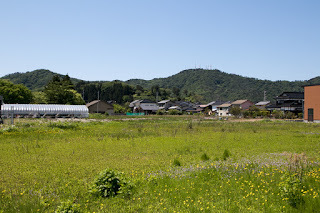 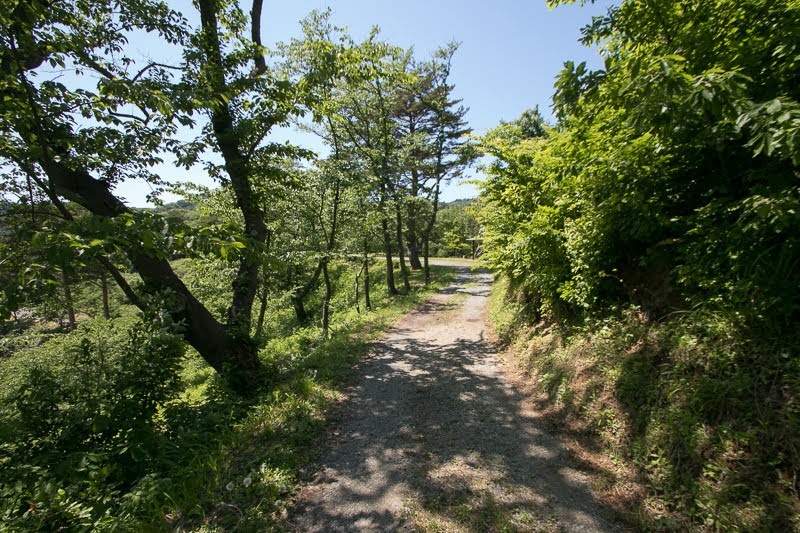 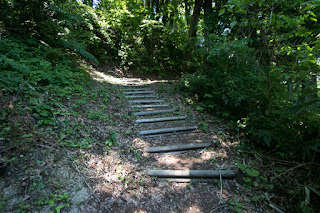 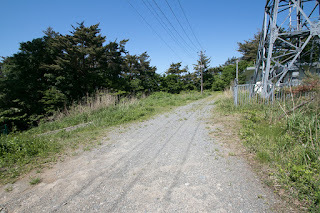 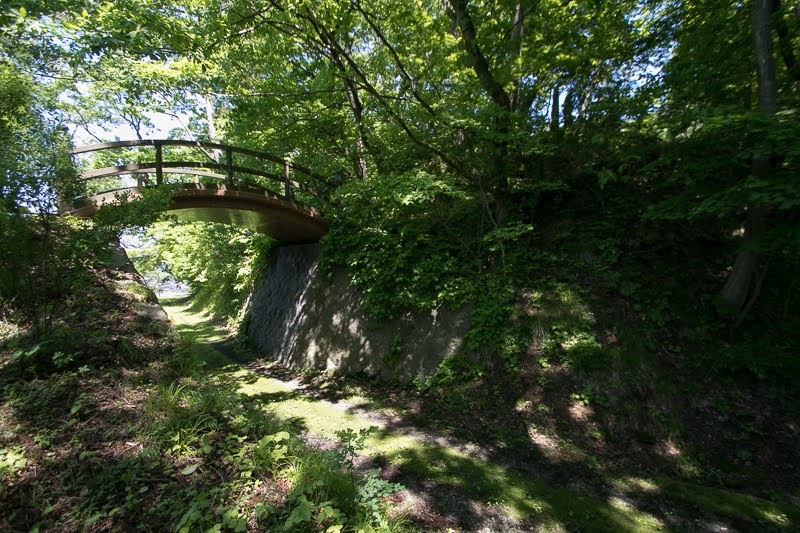 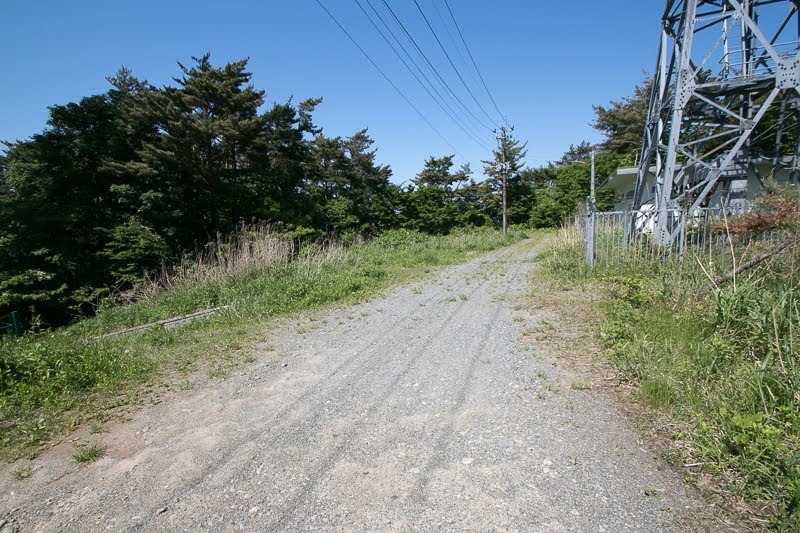 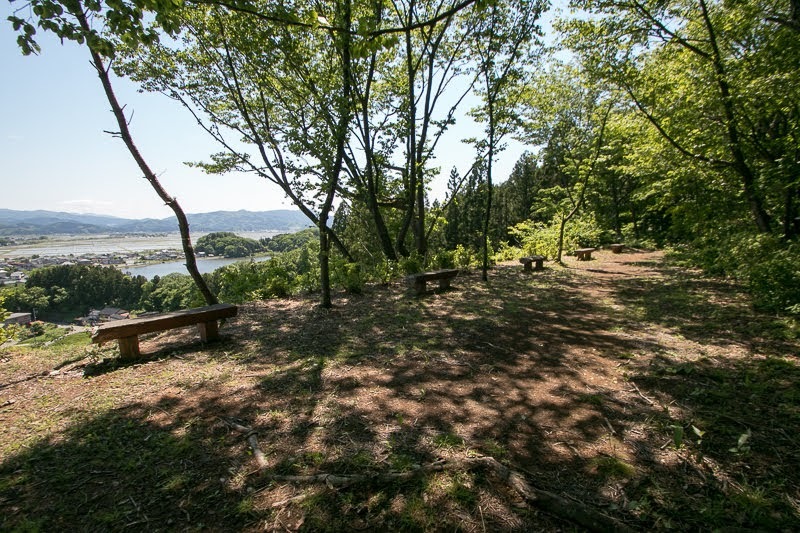 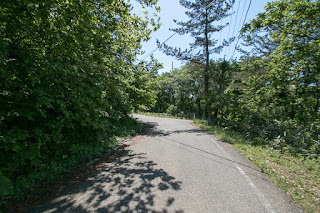 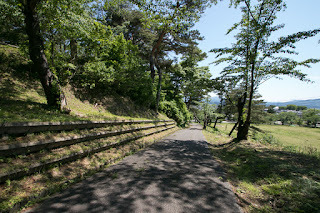 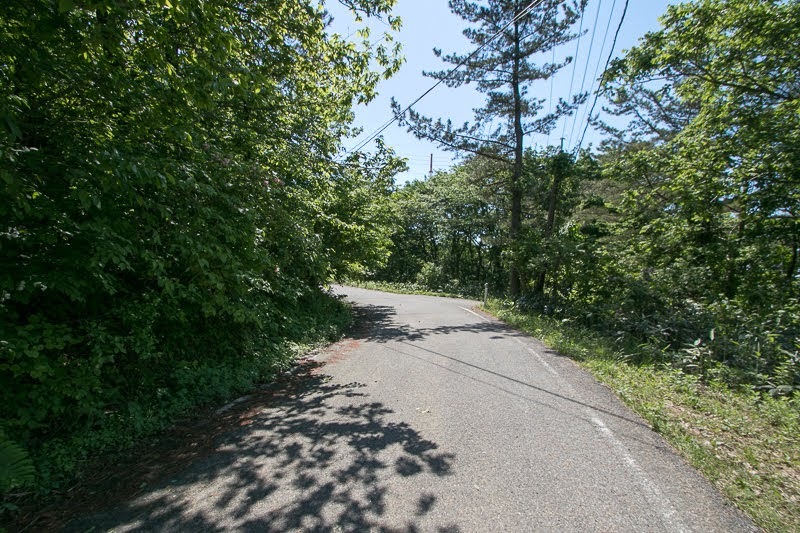 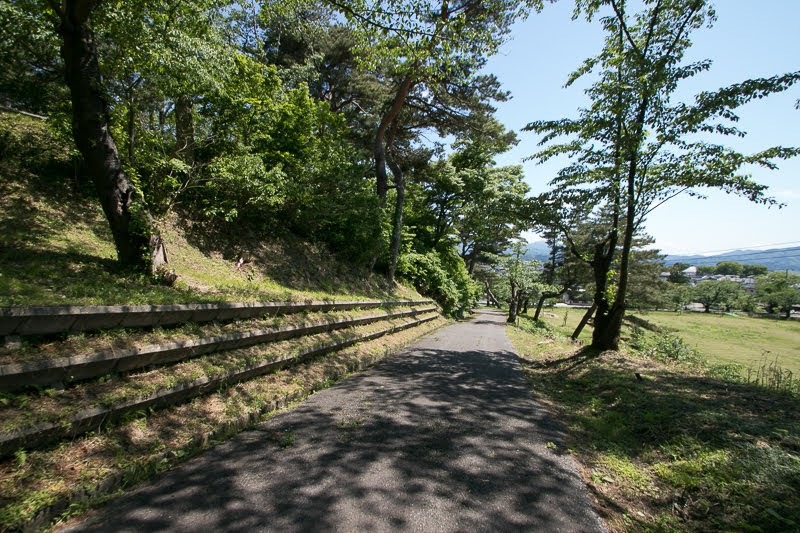 20 minutes walk from JR East Uzen-Honsen line Uzen-Oyama station. 20 minutes drive from Yamagata-Jidoshado Expressway Tsuruoka interchange or Nihonkai-Tohoku-Jidoshado Expressway Tsuruoka-Nishi interchange to the parking of Oyama park.